Please see Newsletter 25, written directly after this conference - you are warmly invited to contribute to it! See also our report that we finalized in September 2015. To participate in our future conferences, please email us! 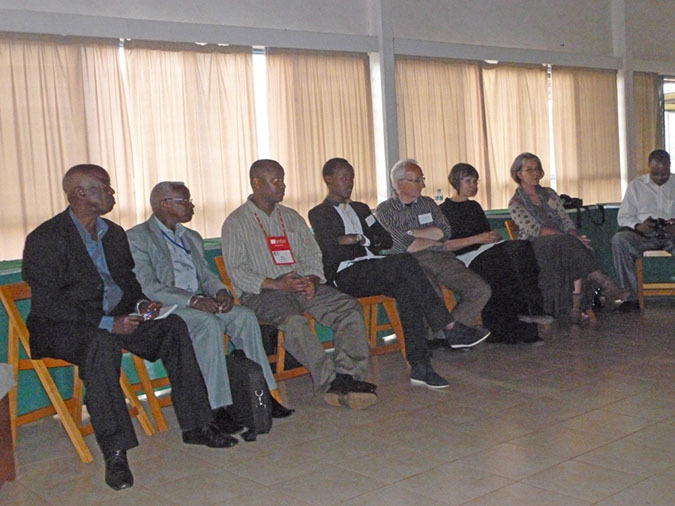 The conference started at NURC on 2nd June at 9.00 in the morning. 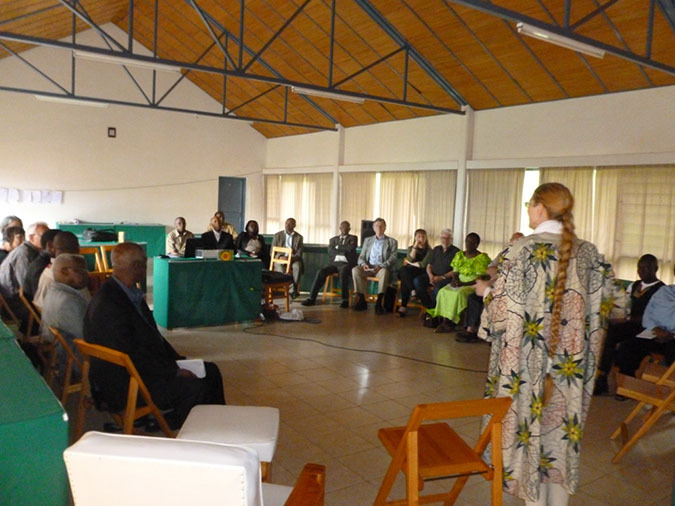 From there, participants proceeded to the Foyer de Charité Sainte Trinité de Rebero Kigali, where the main conference took place. We would like to convey our profound gratitude to NURC for hosting our conference with such visionary and extraordinarily generous support! 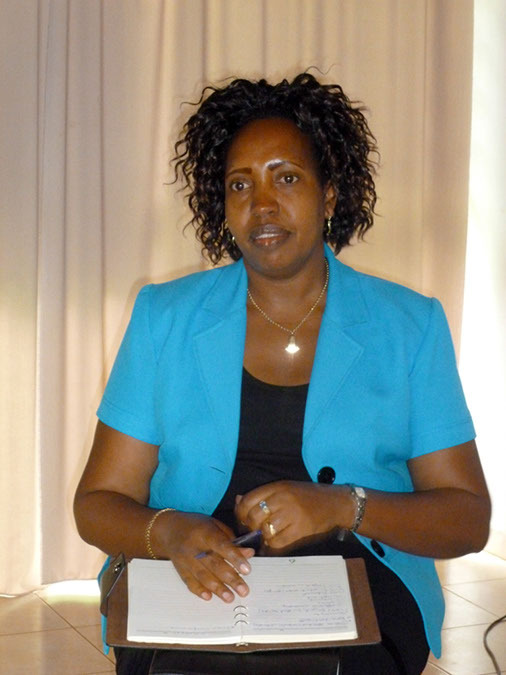 Felicitas Niyitegeka gave her life in the genocide that ravaged Rwanda in 1994, targeting Tutsi, together with moderate Hutu who were opposed to the killing. 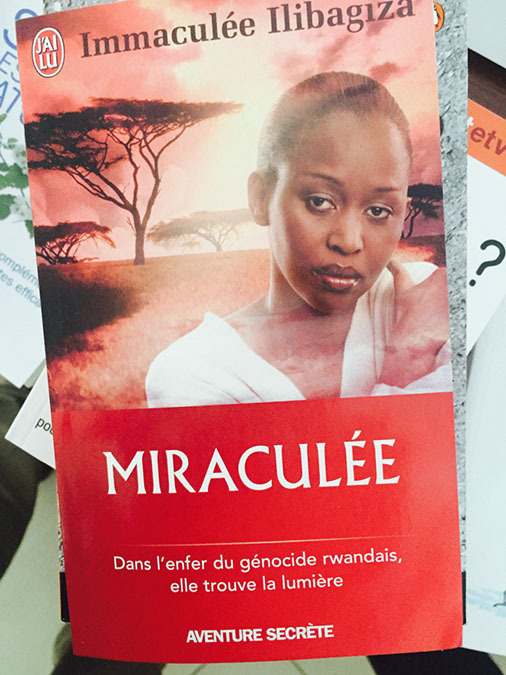 Father Jean d'Amour Dusengumuremyi wrote a book about her, published in our Dignity Press, titled No Greater Love: Testimonies on the Life and Death of Felicitas Niyitegeka. 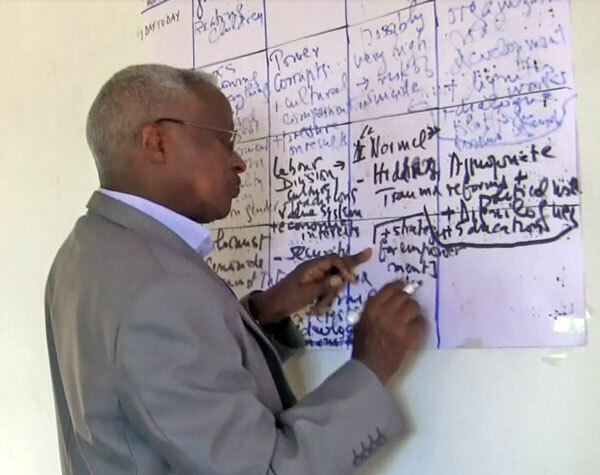 A friend of Father Jean d'Amour has composed a song to honor Felicitas Niyitegeka. She was an Auxiliaire de l'Apostolat, a laïque engagée, who had dedicated herself to a celibate life to serve the common good with love. 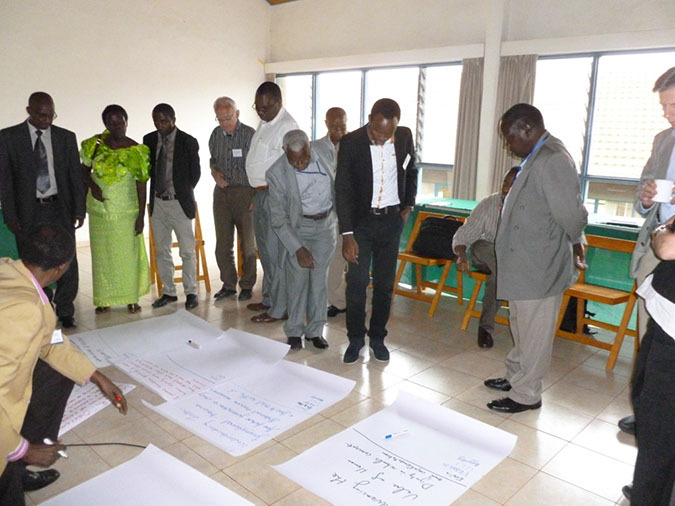 She was the responsible head of the Centre Pastoral St. Pierre of the Diocèse de Nyundo in Gisenyi. 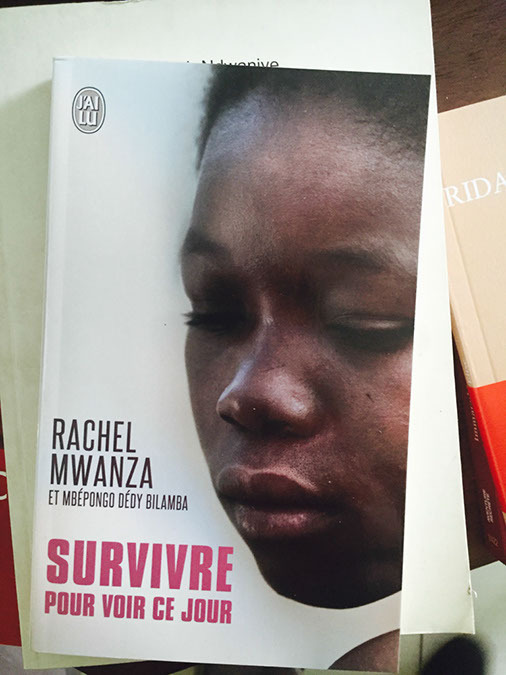 She saved the lives of many Tutsi, and, at last, she chose to die together with the Tutsi women who were in her care and whom she could not save. 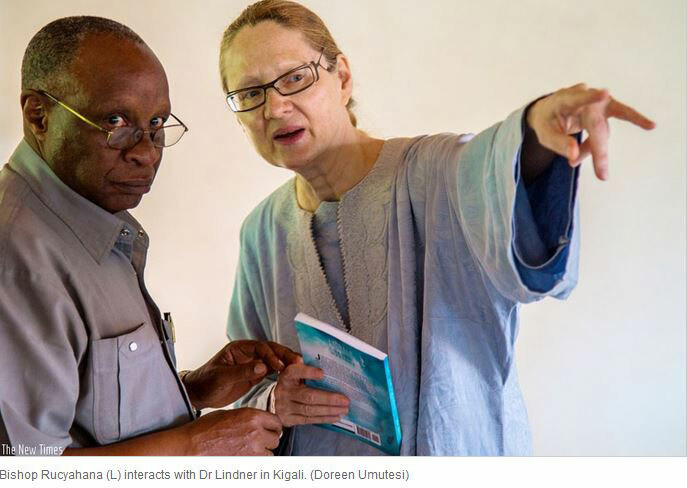  Please see a report of our conference that Evelin Lindner wrote in June and which Linda Hartling was able to cut down from 60 confidential pages to 20 public non-confidential pages. 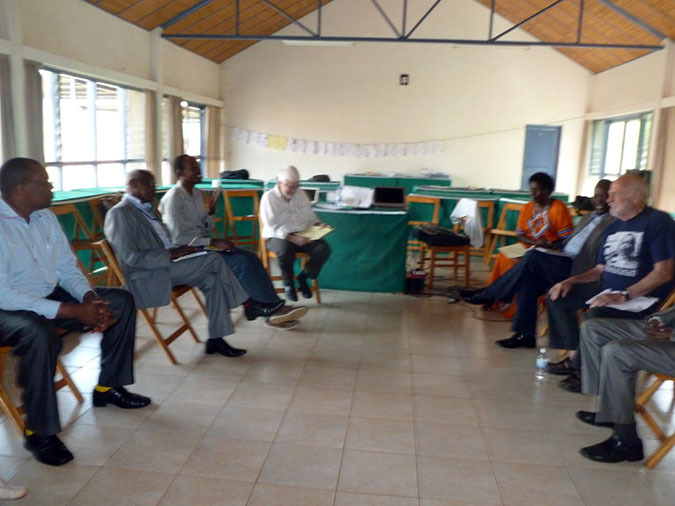 We have received clearance of our hosts, the Rwandan Commission of Reconciliation (NURC) and Emmanuel Ndahihama, to publish the final version on our website. 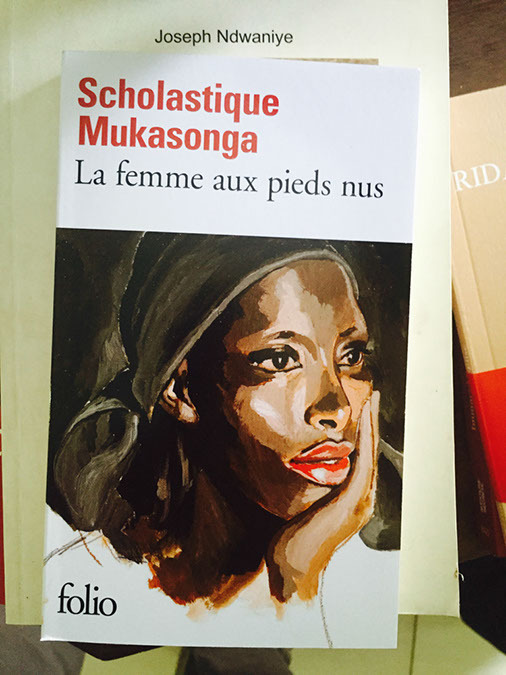 We have reason to believe that also the President of Rwanda will read it most attentively.  Please see Newsletter 25, written after this conference - you are warmly invited to contribute to it! To participate in our future conferences, please email us!  See here an invitation that was sent out prior to the conference, as was the short programme of the entire conference, as well as the Public Event programme. See the long programme further down.  Please know that you are always invited to spend the entire conference with us, so that real dignity-family-building can emerge. 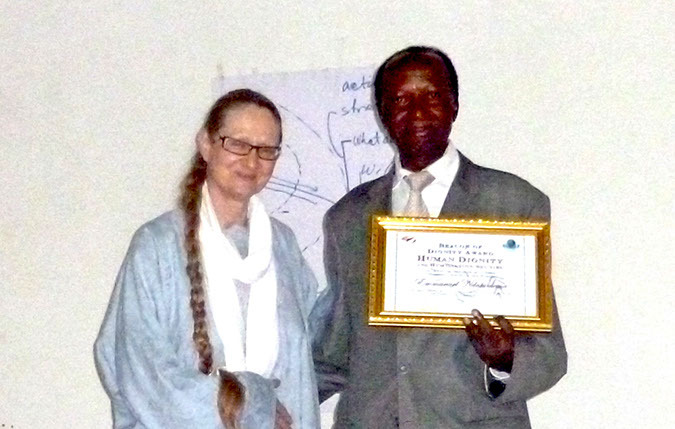 All our events are part of an ongoing effort to nurture a global dignity community. You are always invited to fill out our Appreciative Introduction form, print it out, and bring it with you. 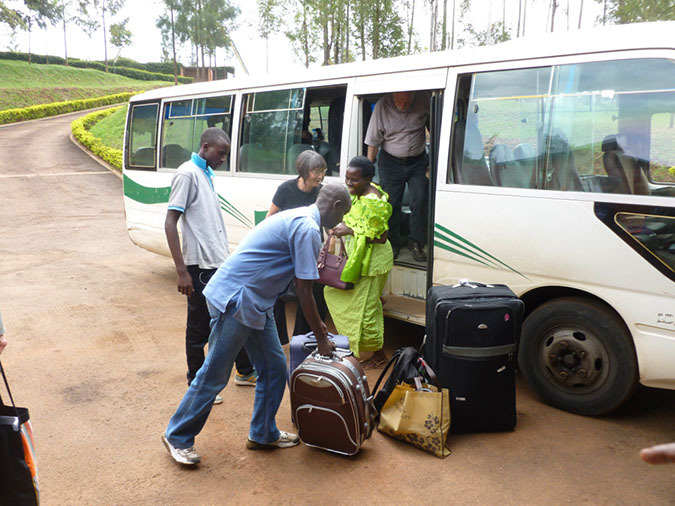 Participants had the option to fly to Kigali or, from neighbouring countries, to take the bus. 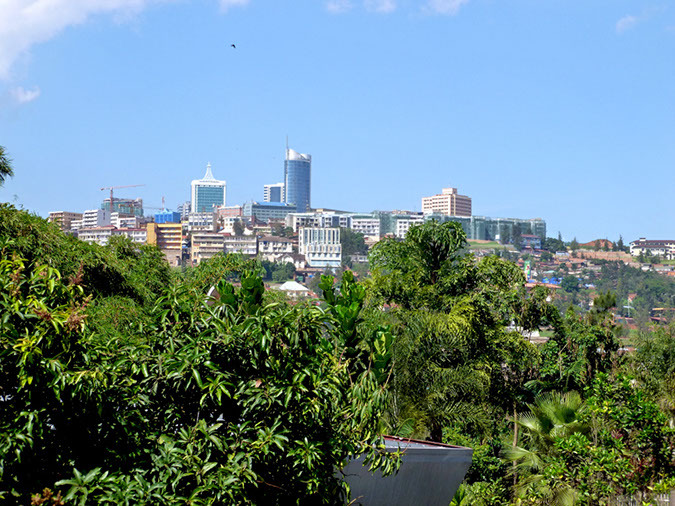 Kigali is the capital of Rwanda, in the middle of Africa, and it is well served by many flights including KLM, SN Brussels, Qatar Airways, Ethiopian Airlines, Rwandair, Kenya Airways, Air Uganda, SAA, etc. 1. 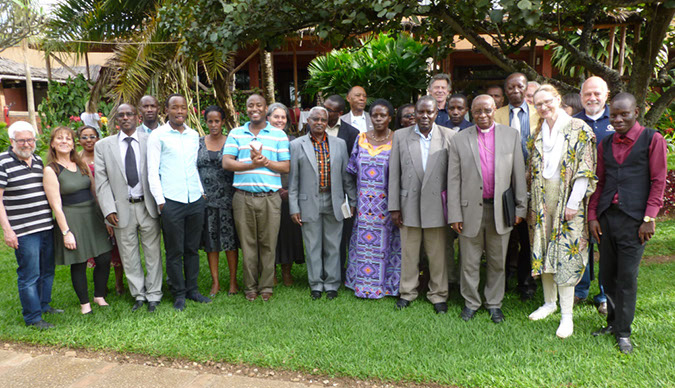 National Unity and Reconciliation Commission (NURC): here the conference started on 2nd June at 9.00. 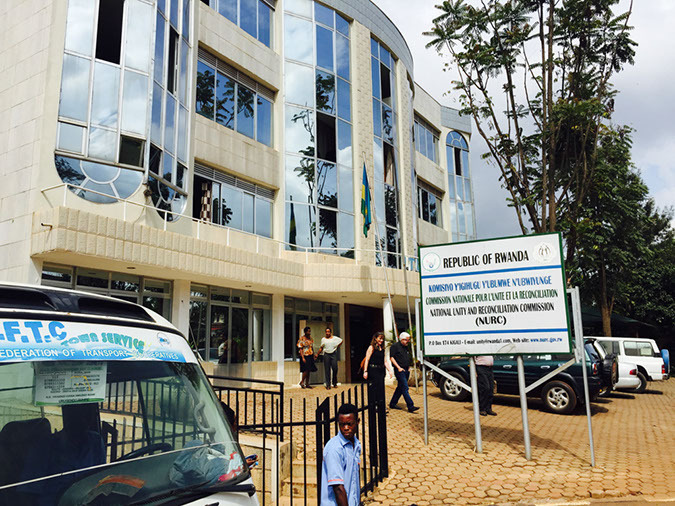 The NURC headquarters’ location is Kisiment - Remera, Ituze Plaza House (straight from Kigali International Airport). 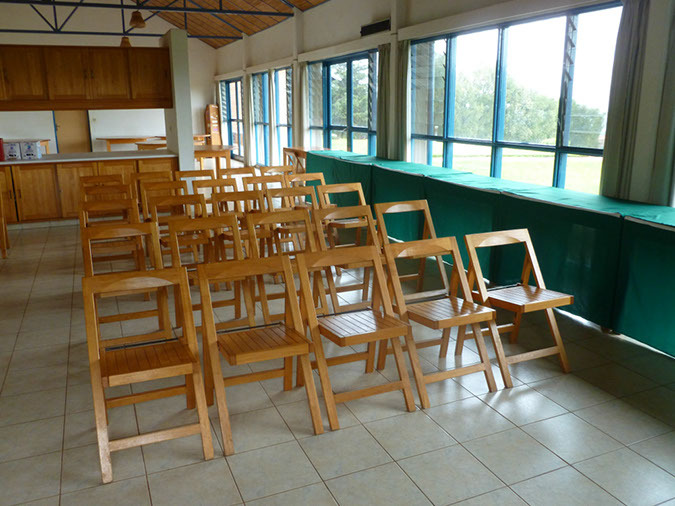 Everybody who wished to stay with the rest of the group in the Foyer de Charité was invited to cancel any other hotel bookings and come with their luggage to NURC in the morning of 2nd June. 2. 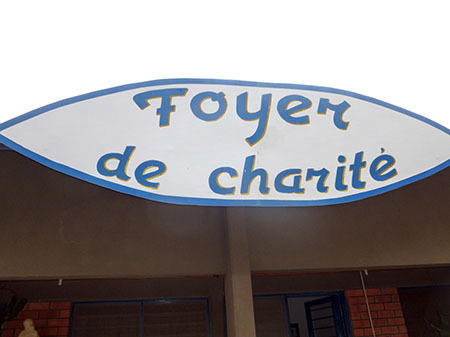 Foyer de Charité (Caritas) Sainte Trinité de Rebero Kigali, B.P. 6189 Kigali, Tél. de la Réception (on parle Français), 0785151514: Soeur Gertrude Twagirayezu, Soeur Romaine, Soeur Mediatrice, Soeur Marie Ange, Prêtre Pierre Claver Nkusi, and everybody else lovingly welcomed the participants to stay and eat at their premises (please see pictures below). 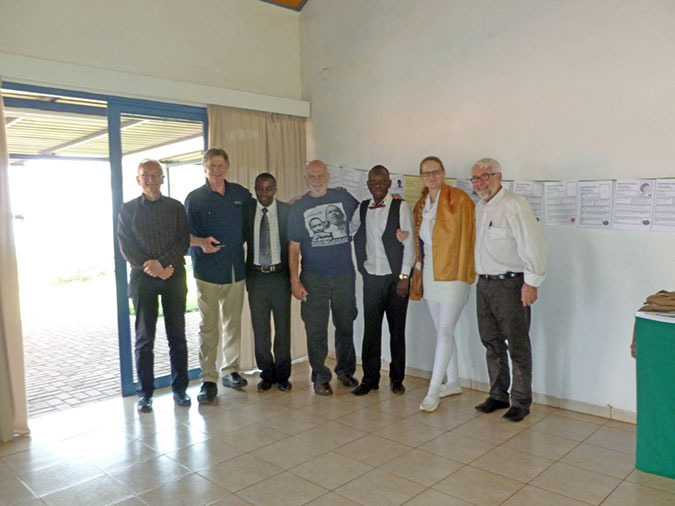 We were lovingly welcomed to conduct our conference, and stay overnight, at the Foyer de Charité (Caritas) Sainte Trinité de Rebero Kigali, B.P. 6189 Kigali, Tél. 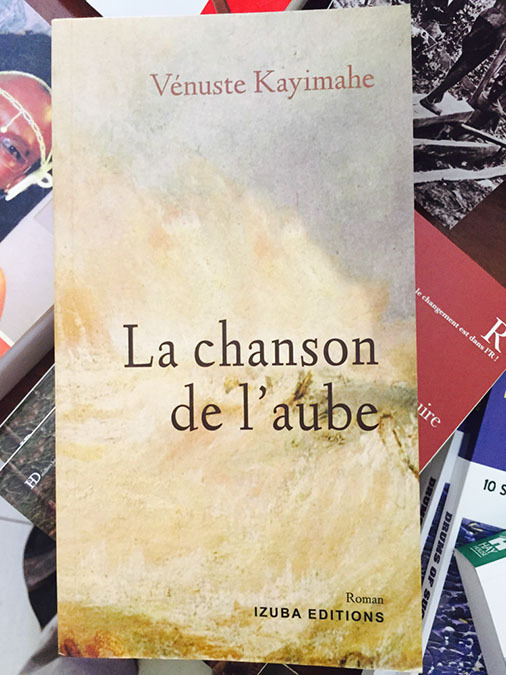 de la Réception (on parle Français), 0785151514. Everybody who wished to stay with the rest of the group in the Foyer de Charité was invited to cancel any other hotel booking and come with their luggage to NURC in the morning of Day One. 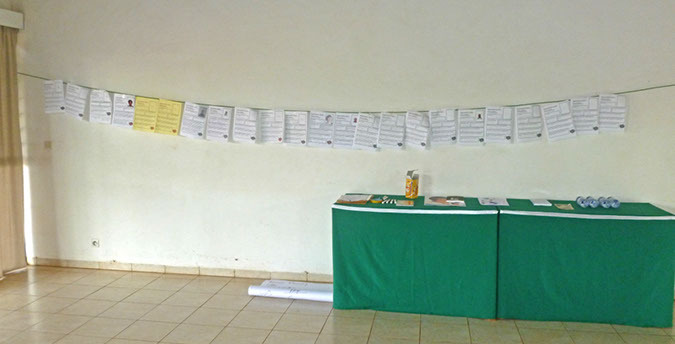 Soeur Gertrude Twagirayezu (she wears an African dress on the photos above), together with Soeur Romaine, welcomed all conference participants to the Foyer de Charité (Caritas) in Rerbero-Kigali, which is a wonderful place. 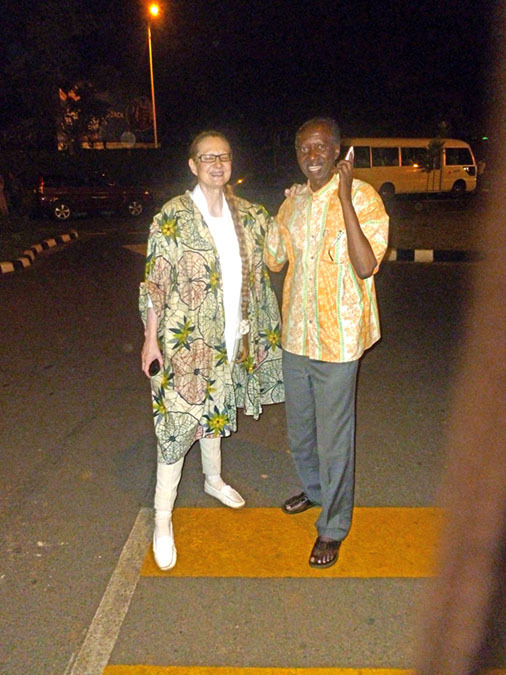 Evelin could attest for that, since she had the honour of being welcomed to live in the neighbouring convent since she arrived in Kigali on 1st May. 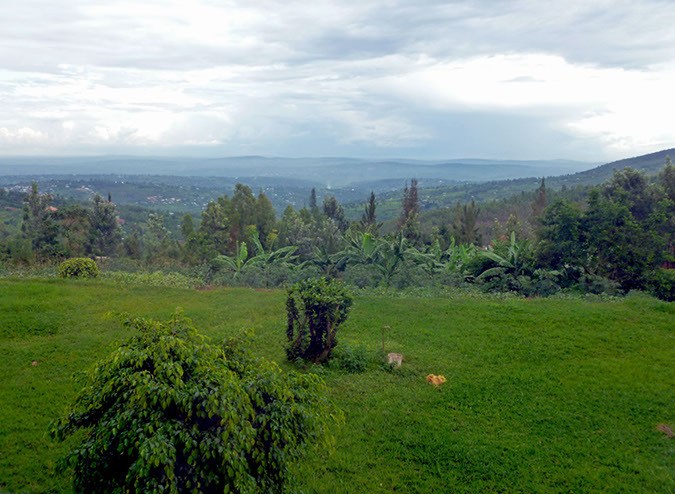 It is beautiful and calm, and choosing this location also expressed our wish to honour Felicitas Niyitegeka, who gave her life and was killed in the 1994 genocide against the Tutsi, because she was rescuing Tutsi. 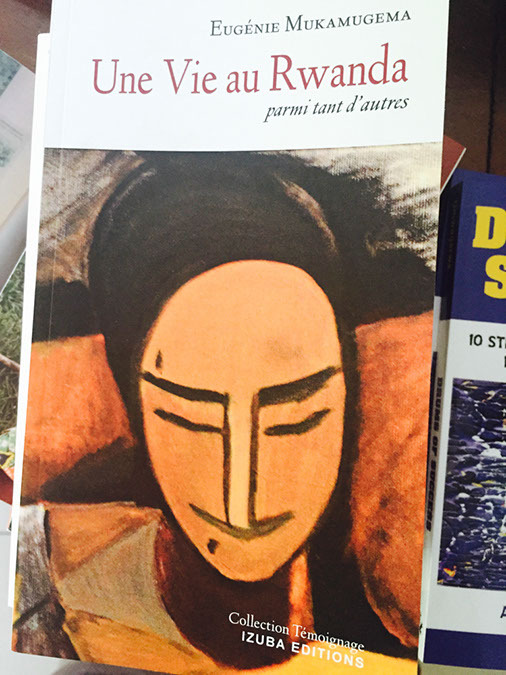 Our dear Father Jean d'Amour Dusengumuremyi, who also brought Evelin to this wonderful environment, has written a book about Felicitas, on which Uli Spalthoff has worked day and night to publish it in time before our conference in our Dignity Press. Uli has offered to bring 100 copies with him in his suitcase. 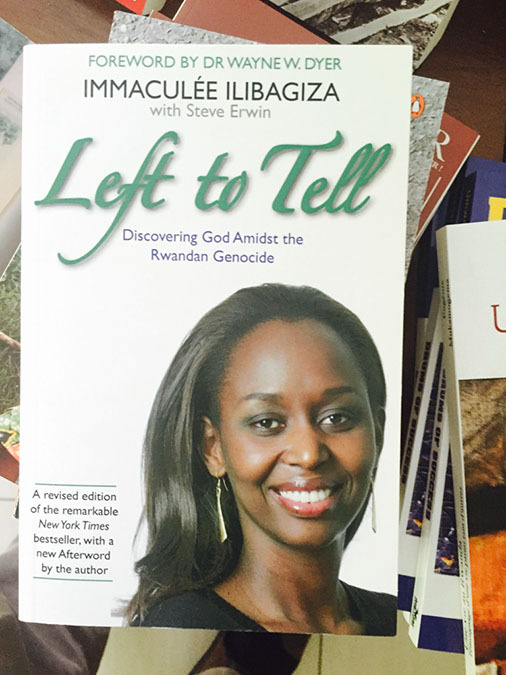 The book is titled 'No Greater Love: Testimonies on the Life and Death of Felicitas Niyitegeka'. The aim is to create a foundation in the name of Felicitas. There are 23 rooms on the premises of the Foyer, plus 30 rooms in the neighbouring convent (where Evelin lived). All participants were welcome to stay at the Foyer during the days of the conference. It is 15.000 FRW, ca. 20 Euros, per day per person. Breakfast is at 8 o'clock for 2500 FRW, lunch at noontime for 5000 FRW, souper at 7 'o'clock in the evening for 5000 FRW, coffee break for 1000 FRW, together 13.500 FRW for three meals and coffee break, which means ca. 18 Euros, per person per day (excluding soft drinks and bottled water). In other words, all-inclusive housing and meals were ca. 40 Euros per day per person. Everybody kindly paid for what they had the pleasure to consume. Thank you to everybody for taking such respectful care of our host sisters! There are more hotels in Kigali. 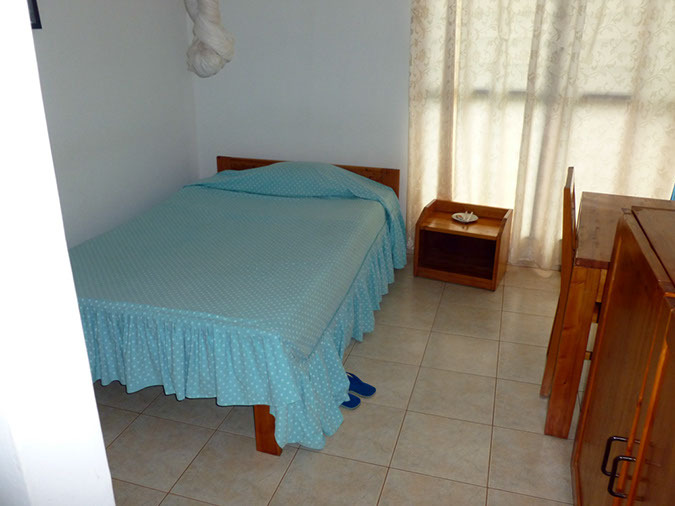 There are websites such as expedia.com that list hotels in Kigali. You using public transport which is not expensive. You can also use a taxi. For those who wished to enjoy the comfort of other hotels, there is Serena hotel, Mille Collines Hotel, Hotel Beauséjour, Hotel Chez Lando... these are the most expensive ones. 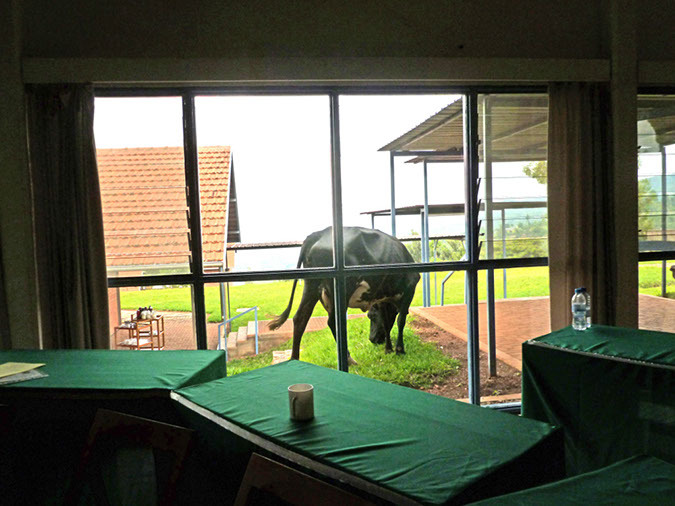 For those participants, who wished to know what was there to experience in Rwanda after the conference, there were several possibilities (please note that this experience was not part of the conference itself). You could, for instance, visit the gorillas in the Volcanoes National Park. The Volcanoes National Park has an area of 16,000 ha, the Akagera National Park covers an area of 108,500 ha, the Nyungwe National Park has an area of 101,900 ha. In addition the forest reserves are the Gishwati Forest Reserve (700 ha), Mukura Forest Reserve (1600 ha), Busaga Forest Reserve (150 ha) and Buhanga forest and gallery forest in the eastern province of about 160 ha. Nyungwe is the largest remaining tract of forest which contains 200 species of tree as well as orchids and begonias. Vegetation in the Volcanoes National Park is mostly bamboo and moorland, with small areas of forest. By contrast, Akagera has a savanna ecosystem in which acacia dominates the flora. There are several rare or endangered plant species in Akagera, including Markhamia lutea and Eulophia guineensis. See, among others, www.volcanoesrwanda.org. The permit costs 750 USD per person. 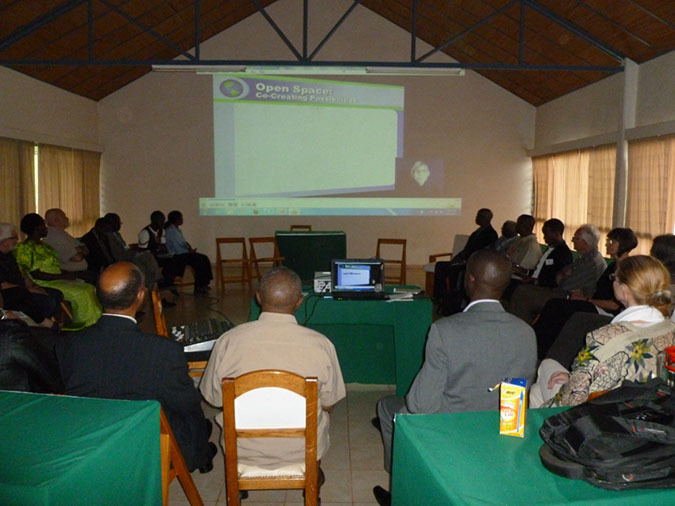 We strive to organize our conferences as 'Green Conferences'. Lynn King kindly advises us. 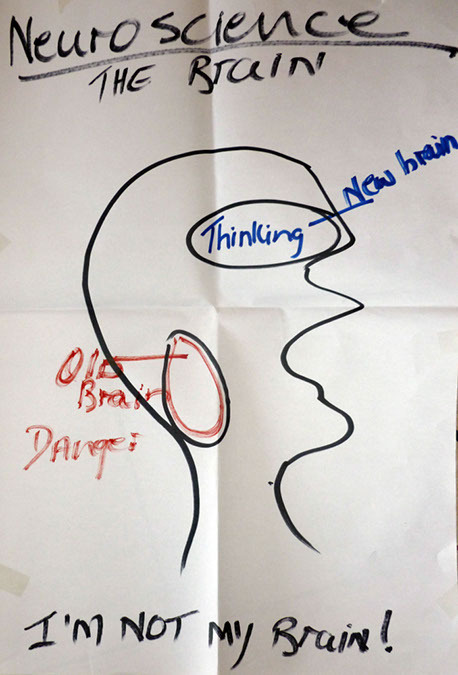 We also thank Vegard Jordanger for making us aware of Frederic Laloux's work on Reinventing Organizations (2014). 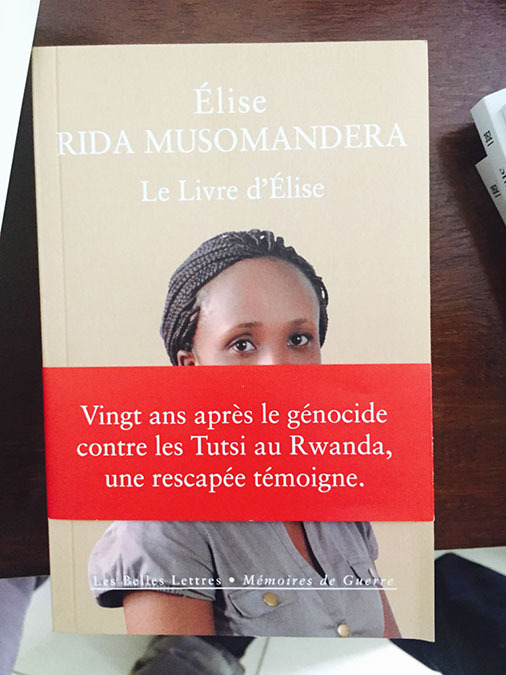  Rwandan readers of Evelin's doctoral dissertation and her first book remarked how important the message of her work is that genocide humiliates both victims and perpetrators. Another point was that the genocide in 1994 was perpetrated against the Tutsi (rather than simply calling it genocide, for instance). Emmanuel Ndahimana was born in 1943 in the southern town of Butare Rwanda. 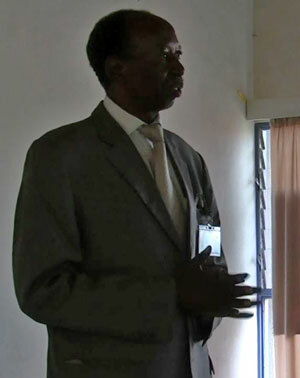 Emmanuel Ndahimana studied Economic and Social Sciences at the National University of Rwanda, Economic and received his Bachelor of Arts in Economic Sciences in 1969. In 1972 he received his Licence in Economics in Fribourg in Switzerland. Later he was trained in various fields including diplomacy, project management, development banking. 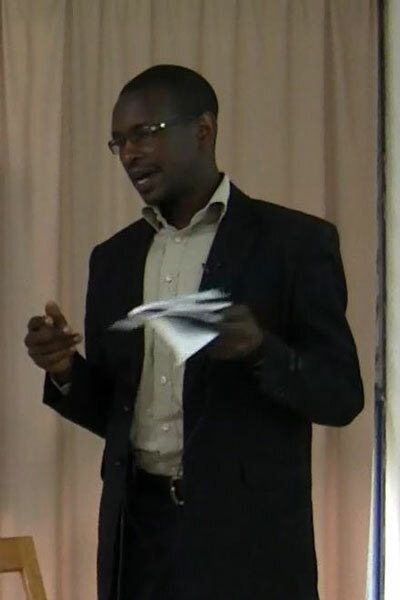 Emmanuel Ndahimana served as a civil servant in Rwanda, starting in the Ministry of Economic Planning, then the Ministry of Foreign Affairs. 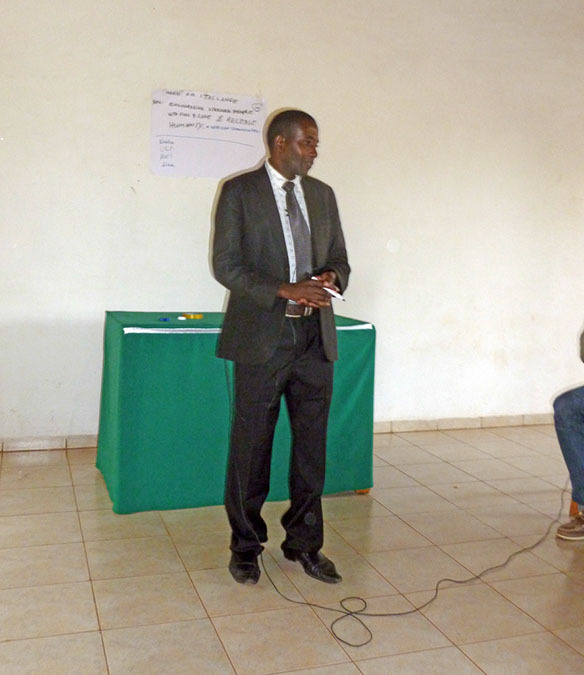 He was Appointed Member of the Rwandan team that took part in the Lomé Convention negotiations, and was also appointed first Counsellor of the Rwandan Embassy in Belgium. In 1977, he was promoted Ambassador of Rwanda to Canada and in 1980 to Dar-es-salaam in Tanzania also covering Mozambique and Zambia. In 1983, he was elected Executive Director of the African Development Bank (ADB) with residence in Abidjan where he represented six East African countries including Rwanda, Tanzania, Kenya, Ethiopia, Uganda and Seychelles. 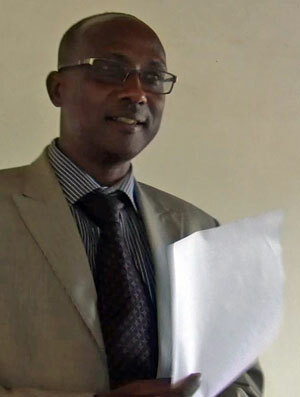 In I987, he was appointed Managing Director of one of Rwanda's major financial institutions (BRD) that provides long term financing to private investors. 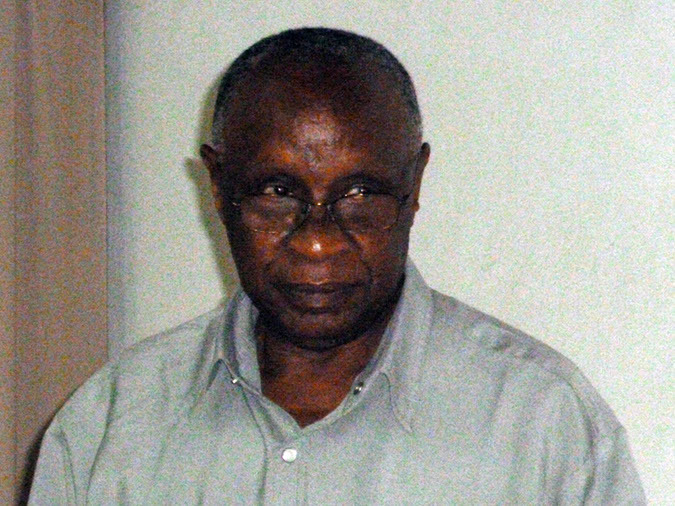 In 1990, with the beginning of the political turmoil in Rwanda, Emmanuel Ndahimana was forced to exile in Ivory Coast (ABIDJAN) until 1994. With the end of genocide in Rwanda, he came back to his country to contribute to rebuilding the Rwandan society after the atrocious genocide. 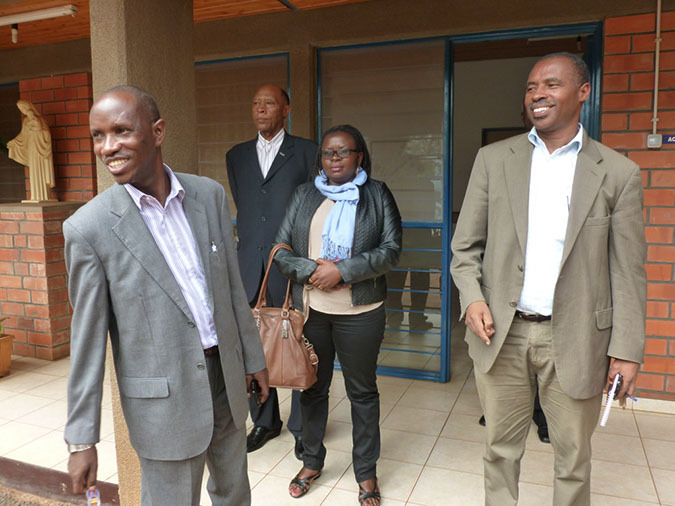 In 1997, he began serving in the Government of Rwanda as a Minister of State for Finance and Economic Planning. In 2000, he resigned from the public administration and entered in private sector, establishing his own Consulting Firm in Management of which he is also the President, specializing in project management, financial and economic analysis. 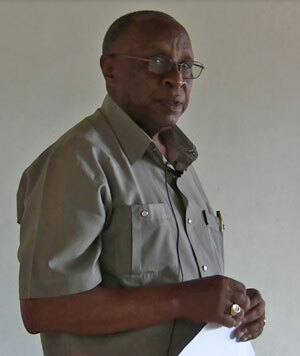 In 2003, the Rwanda Liberal Party elected him as one of their Vice Presidents and in that capacity, he was elected Member of the Parliament until March 2005. 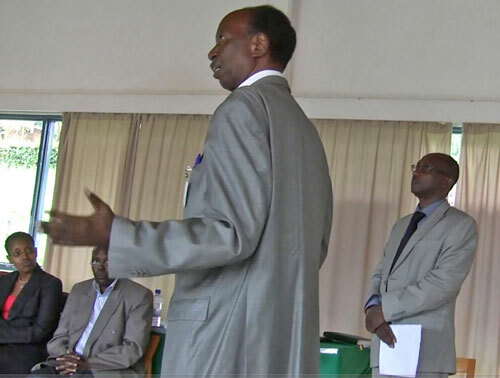 He is now Vice Chairman of the Liberal Party (however, his contributions to HumanDHS do not reflect the position of the Government of Rwanda, only his own). 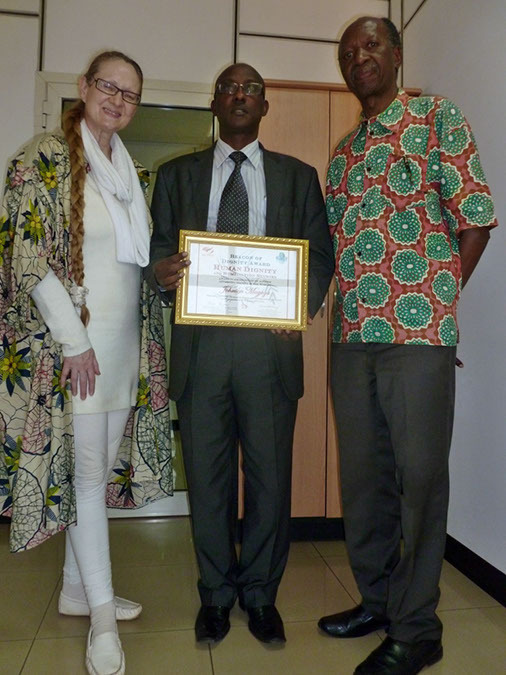 Emmanuel Ndahimana is also member of the National Nepad Commission. Please see his paper presented at 'Beyond Humiliation: Encouraging Human Dignity in the Lives and Work of All People', 5th Annual Meeting of Human Dignity and Humiliation Studies in Berlin, 15th -17th September, 2005, Ignorance and Humiliation. See a response by Laurien Ntezimana, Pour Eradiquer l'Humiliation. 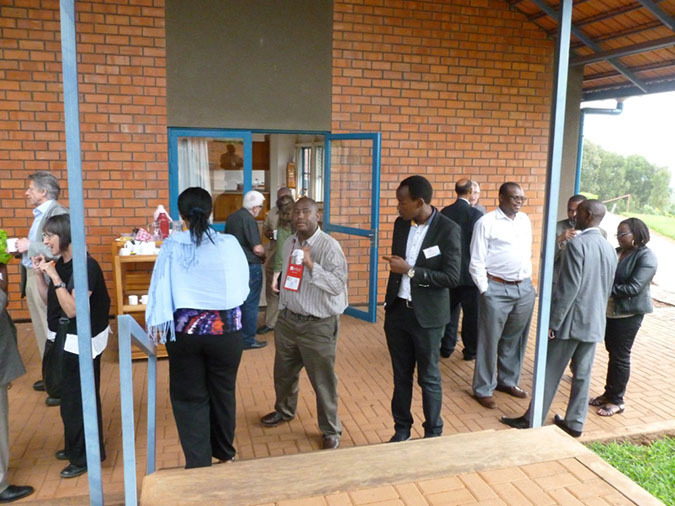 Emmanuel Ndahimana had suggested that all participants may enjoy staying at the Foyer de Charité for the entire conference, not least because this would make it easier for logistics. Those participants who had already booked other hotels, and who wished to follow this suggestion, were invited to cancel those other hotels for the days of the conference (from 2nd to 5th June, or even 6th June). The prices at the Foyer are 15.000 FRW, ca. 20 Euros, per night per person, with breakfast at 8 o'clock for 2500 FRW, lunch at noontime for 5000 FRW, souper at 7 'o'clock in the evening for 5000 FRW, coffee break 1000 FRW, together 13.500 FRW for three meals and coffee break, ca. 18 Euros, per person per day (excluding soft drinks and bottled water). In other words, all-inclusive housing and meals are ca. 40 Euros per day per person. 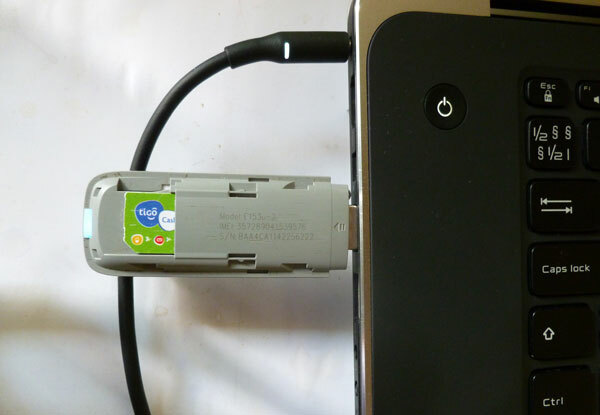 Those who wished to get access to the Internet, were invited to bring their own mobile phone Internet connection and buy a SIM card and a package of download bytes, for example, in the Tigo Service Center in the Kigali City Tower or at the United Trade Center (UTC). The World Dignity University initiative (WDU) was launched in 2011. Like the HumanDHS network, it is a pro-bono initiative, aiming to nurture a dignity movement within education. We always invite our conference participants to support our WDU initiative, if they wish so. 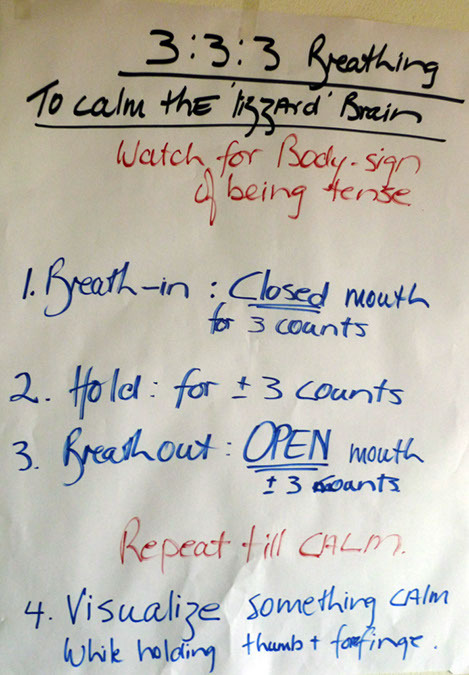 This can be done, for instance, by creating mini-videos of dialogues, please see our videos page for examples. Please note that we differ from traditional organisations, intitutes, or NGOs of whatever kind. Our work is a work of love. We have an almost zero budget. We refrain from 'empire' building. We also refrain from ' abusing' our conference participants to make 'propaganda' for our work. Videos do not have to go to the WDU site. They can be used in whatever other ways. Please note the way we work in our newsletter10. He sends the following message (October 2, 2014): 'There is so much to learn from the people of Rwanda about how to restore dignity. Looking forward to a gathering of people of vision and wisdom in Kigali'. Unfortunately, due to health reasons, John Braithwaite was hindered to join us in the last minute.  Amarnath Amarasingam is a Post-Doctoral Fellow in the Centre for Refugee Studies at York University and also teaches at Wilfrid Laurier University and the University of Waterloo. His research interests are in diaspora politics, post-war reconstruction, radicalisation and terrorism, and social movements. He is currently working on several books including, Pain, Pride, and Politics: Sri Lankan Tamil Activism in Canada.  Topic to be shared by Dr. Atul Mehrotra, co-authored with Anoop Swarup.  Dr. Dheeraj Mehrotra wrote on 20th February 2015: 'I am excited to be the part of the session on 'Human Values via the Essence of Technology'. I look forward to attending and sharing my deliberation on the same towards 'Quality Literacy for All' initiative'. He is accompanied by Dr. Aarti Hemrajani.  Emmanuel Ndahimana was born in 1943 in the southern town of Butare Rwanda. 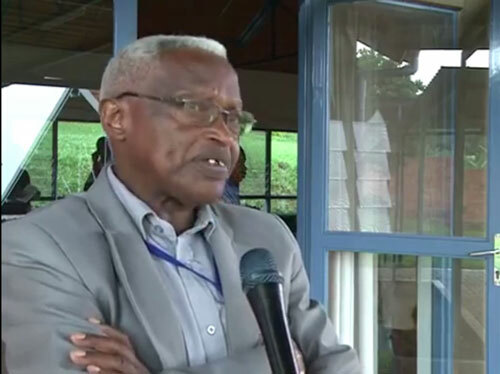 Emmanuel Ndahimana studied Economic and Social Sciences at the National University of Rwanda, Economic and received his Bachelor of Arts in Economic Sciences in 1969. In 1972 he received his Licence in Economics in Fribourg in Switzerland. 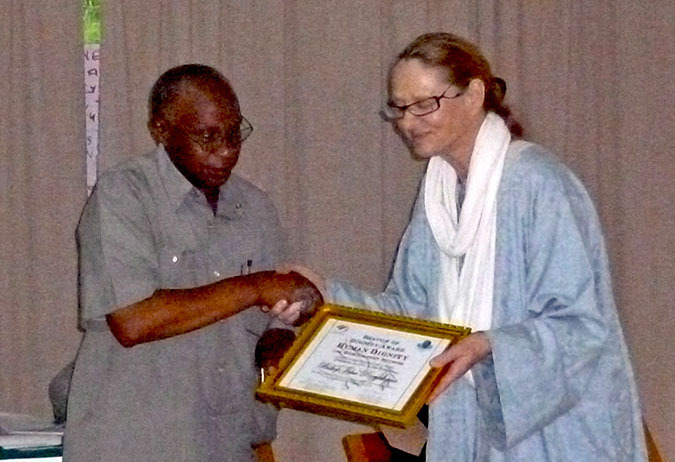 Later he was trained in various fields including diplomacy, project management, development banking.  Warner Woodworth is a Global Social Entrepreneur and Professor Emeritus at BYU, who has authored 10 books and 200 articles. 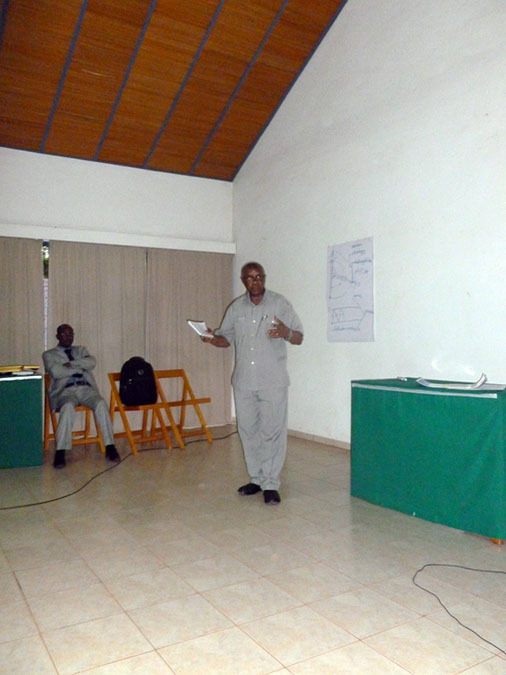 Over the years he has taught Third World Studies, NGO Management, Microfinance, Social Innovation, OD and Change. He is a founder of 31 NGOs and together we raised some $26 million in 2014, empowering 7.1 million clients and their families. Presentation given at the 23rd Annual Conference of Human Dignity and Humiliation Studies, 'Returning Dignity', which took place at Chiang Mai University, Northern Thailand, 8-12th March 2014, inspired by Kjell Skyllstad and convened by Chayan Vaddhanaphuti, Professor and Founding Director of the Regional Center for Social Science and Sustainable Development (RSCD) and Director of the Center of Ethnic Studies and Development (CESD) at the Faculty of Social Sciences, Chiang Mai University. 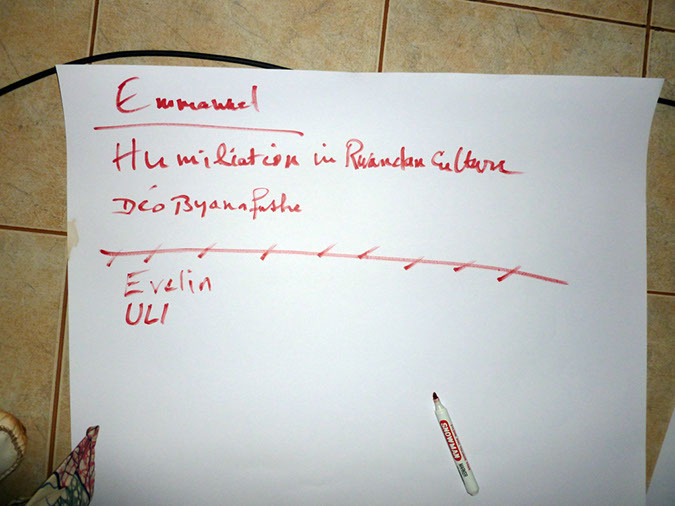 Evelin Lindner gave a brief overview over her work on dignity on 12th March 2014. The video was kindly recorded by Donna Fujimoto. Please note that this video is unedited. Please see the article 'Global Dignity: What Is It? How Do We Achieve It?' that brings together Evelin's insights on global dignity with the experiences and insights she gathered in Thailand in March and April 2014.  Avi Shahaf was born (1951) and raised in Tel Aviv, Israel. He completed his BA in Sociology and Anthropology and his MA in Organizational Development – both in Tel Aviv University. Avi managed an institute which focused on the development of managers and workers handling youth at risk, for seven years. • Can Fear of God Prevent Humiliation? Evelin would like to add a clarification of her contribution at the end of Warner's presentation so as to avoid being misunderstood: 'When speaking about 'here', I referred to many places in Africa. 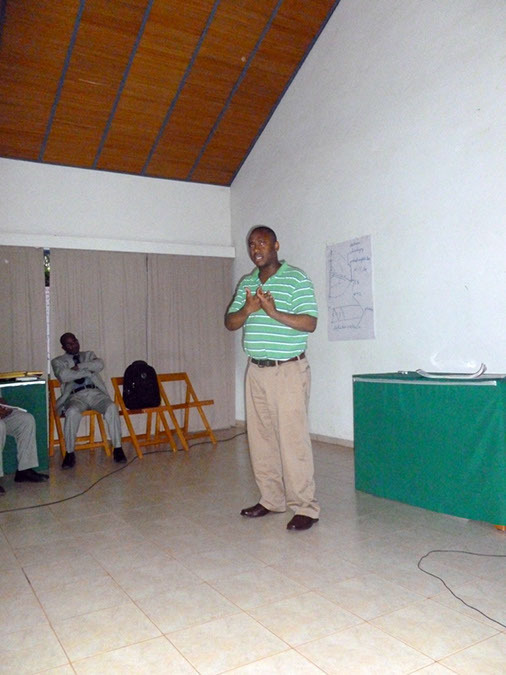 As Professor Déo Mbonyinkebe said, Africa needs to be viewed with a lens that differentiates. Rwanda is a shining example in many ways (health care is only one example) compared to many other parts of the world, including most of the rest of Africa'. 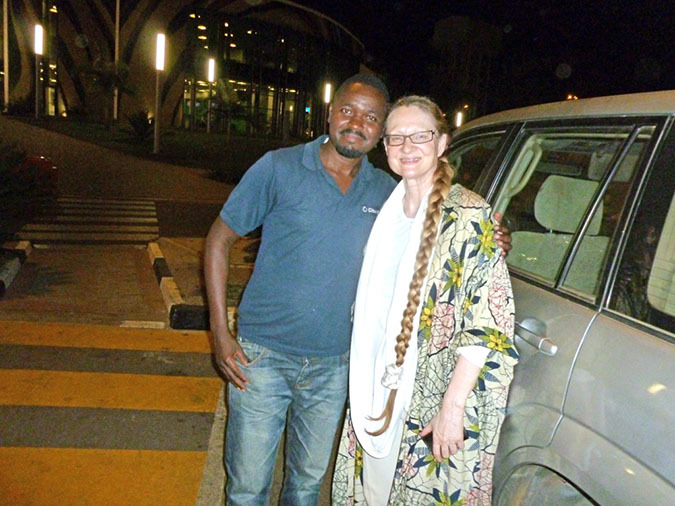 On 11th June 2015, I had the privilege of reconnecting with dear Jean-Damascène Gasanabo, Director General of Research and Documentation, Centre on Genocide, National Commission for the Fight against Genocide (CNLG). 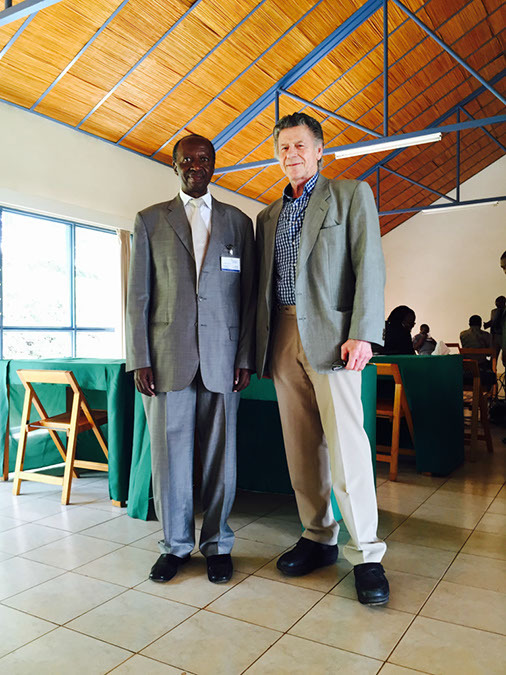 See two photos taken in his office in Kigali. Please click on the pictures above ore here to see all 50 photos kindly taken by Magnus Haavelsrud. 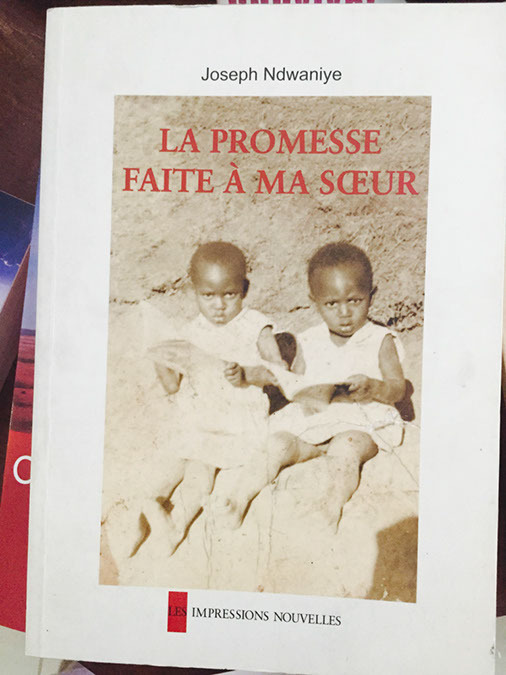 Here you see the books he found in the bookstores of Kigali. What would you like to get out of this gathering? There will to propagate the importance of Human Dignity. What would you like to contribute to this gathering? To encourage this gathering to do more advocacy for Human Dignity and expose causes of humiliation. What does dignity mean to you and your work? Dignity means almost all, human beings should live for. - Fighting against Hunger, humiliation, etc. Get to know better how to regain and build dignity. Life to live. Talk and walk it. An aspiration to live for. Our contribution to building Human Dignity. My contribution is to share my experience in Business Development with regards to Dignity 'Dignity Works'. Means a lot. 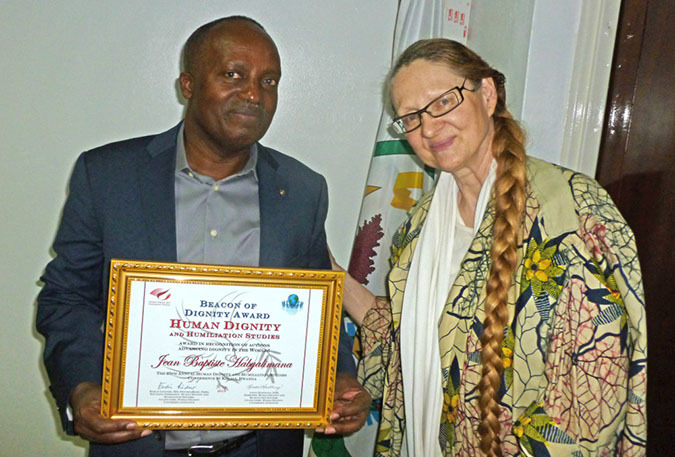 In business, in professional career, making money is not all: recognition of Human Dignity. Intellectual Input based on my Teaching and Research Experience. It is an essential value for and from Peacebuilding. 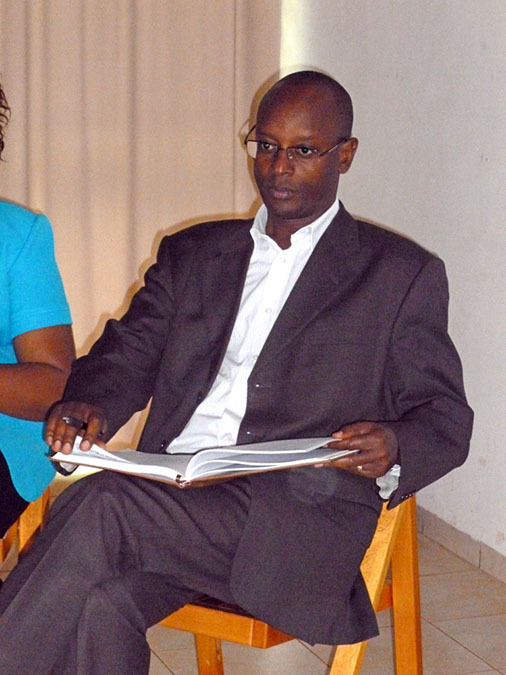  Professor Déo Byanafashe is a Professor of History at the University of Rwanda who has written extensively on the History of Rwanda. 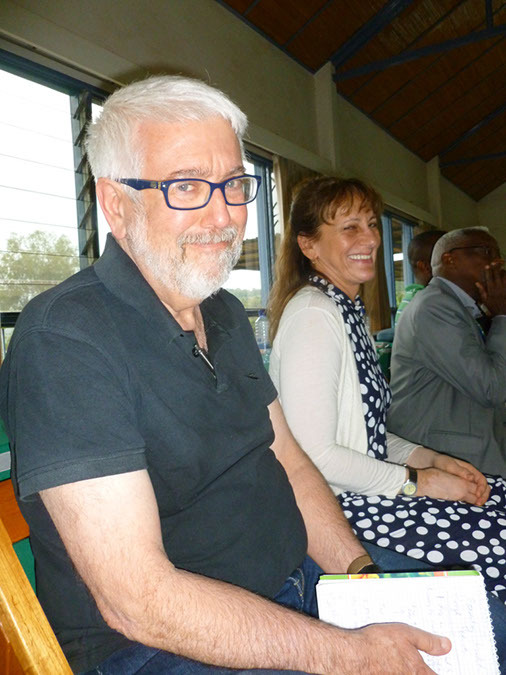 He has recently worked for the Commission of Unity and Reconciliation in producing an important document on Rwanda known as From the Origins up to the End of the 20th Century. 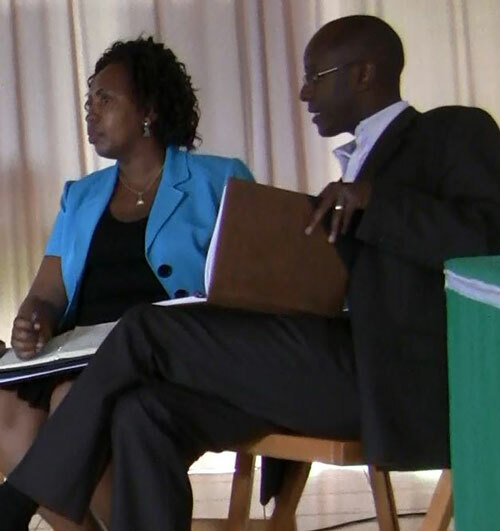 It is an important contribution to educating Rwandans on their profound unity beyond their apparent differences. A catholic priest, making known the martyrdom of Felicitas Niyitegeka. What people can do to avoid humiliation without humiliating others. I will try my best to talk about human dignity and its importance in our daily life. To me, dignity means a quality or state worthy of esteem and respect. - Publishing, technology for education, OLPC. 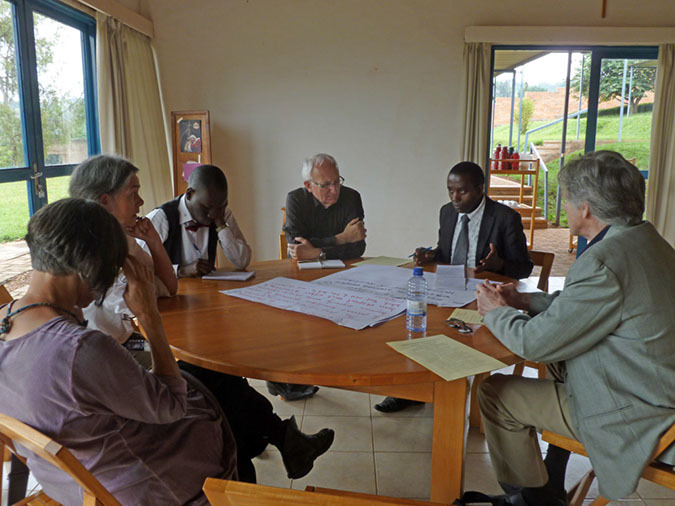 Learning from the Rwandan people how to overcome a dreadful global situation. Exchange of thoughts and experiences. Dignity is a challenging term, motivating but difficult to master. - Arts, mediation, is eternity of healing, spirituality. 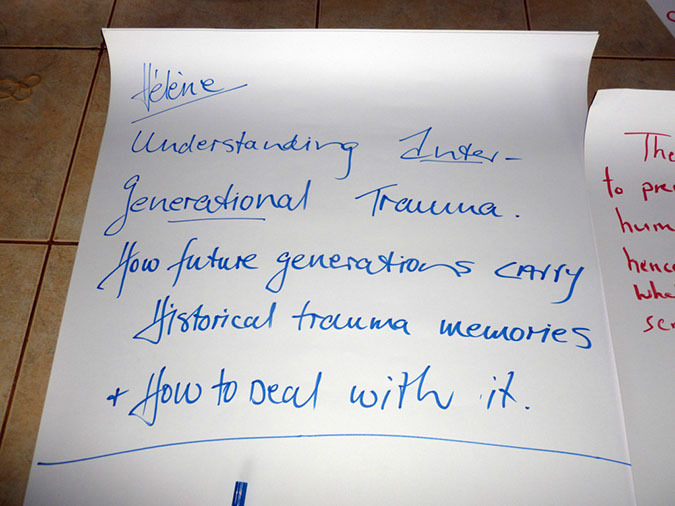 - Forgiveness, comparing experiences in Rwanda and Germany, for example, on transgenerational trauma. Sharing personal experience in private and professional life. Education, social science and narratives/novels written by young authors. Reflecting on how education can contribute to the prevention of humiliation. The practice of human rights. 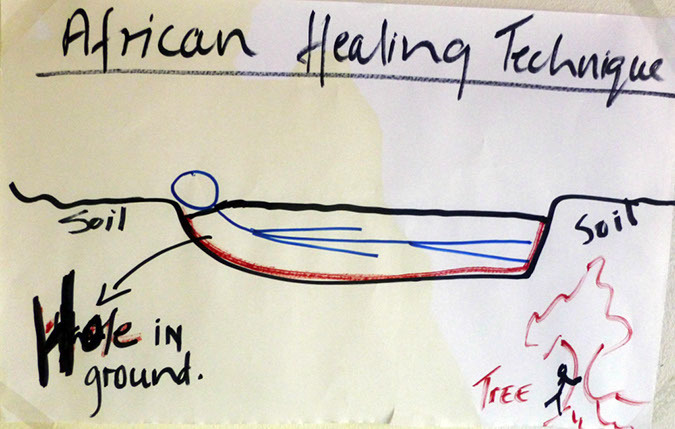 Healing trauma and humiliation - historical trauma. Learn more how the trauma and humiliation has been treated in other countries in an effort to prevent that historical trauma repeats. 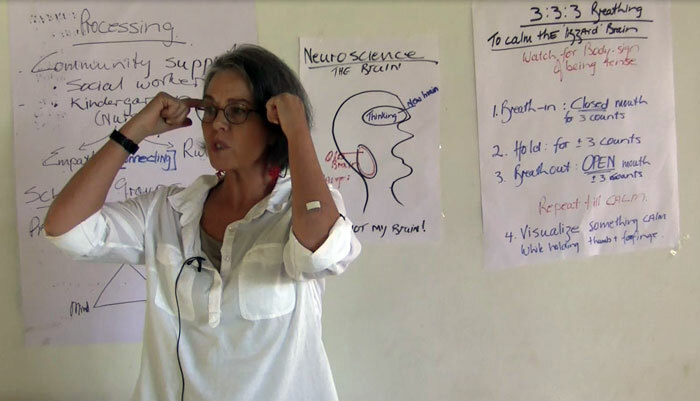 Recent findings in neuroscience on the impact of trauma on the brain. Dignity is at the heart of living a meaningful life. 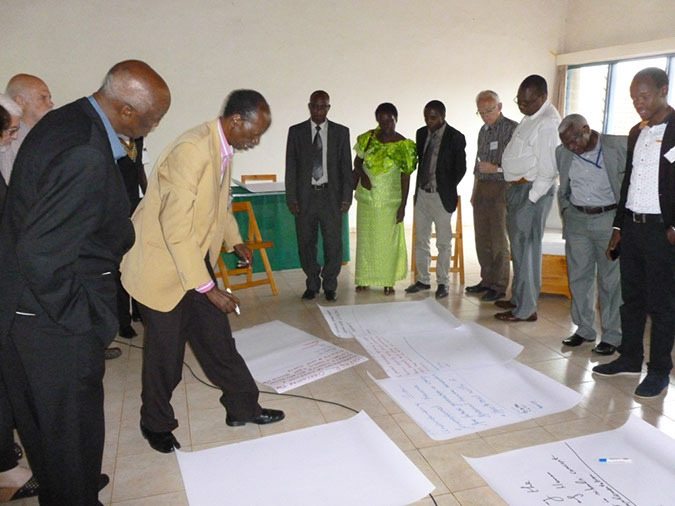 Advancing the value of human dignity through organizational development. Sharing knowledge and experience and future connections. 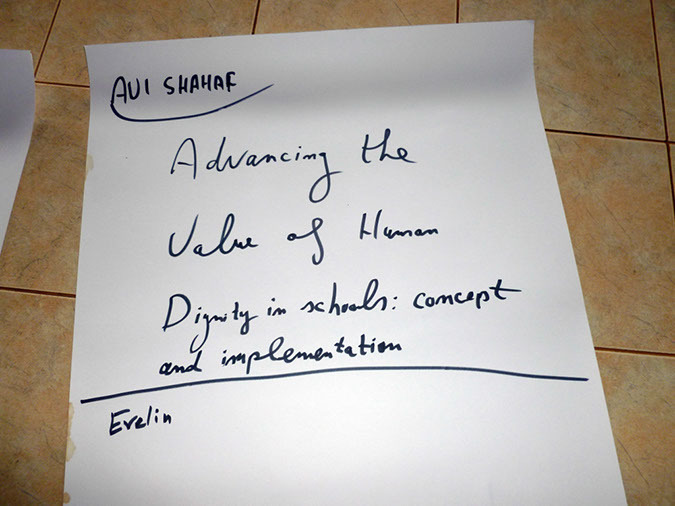 I'd like to facilitate and dignilogue: human dignity in schools - concept and implementation. Dance and Movement Therapy, Psychotherapy, Cognitive Behavioral Therapy. Knowledge, brain storming, next ideas, to get to know people from different countries. A basis of a creation of communication among people. 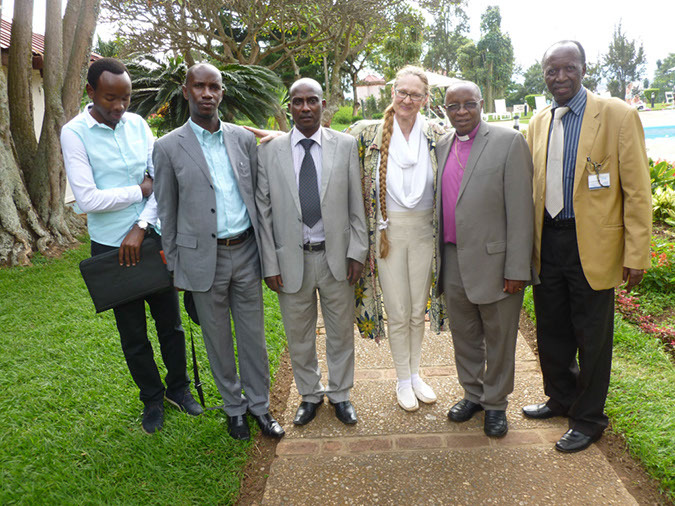 Former refugees and genocide survivors. A better understanding of my research areas and other related ones. The findings of my research so far. Respect for human life, and the values, and characteristics that make us human; those values which differentiate humans from other animals. Dignity means kindness, love, respect, and empathy. Human dignity, gender and non-violence. Good practice experiences that have responded to theories, policies and practices that marginalise women and prisoners. Some prisoners rehumanising plans for the future. Everything. I am inherently of worth: I share this with all people. I appreciate myself and let the humiliated women and prisoners know that they are of worth too. - How wars has humiliated those involved and how people manage to endure wars. - The changing culture in the world. - Get to know what is the peace builders are doing. - Get to meet other peace builders for collective collaboration and working together for better peace results. - Get to be known as a peacebuilding. Sharing knowledge on common issues in the world. It means respecting others and their contributions in any form. I would like getting the contented idea from the agenda and a life of dignity for all so as to help others who are in humiliation all over the world. I would like contributing my views on dignity to this gathering and encourage my fellow members to establish human dignity and humiliation studies all over the world. To respect human beings because we all are equal. All religious churches should behave positively, improving dignity and prevent humiliation. To inherit the spirit of humanity, which will expand love and peace among the world, especially to my country Tanzania, and also increase relationships between my country and other countries. 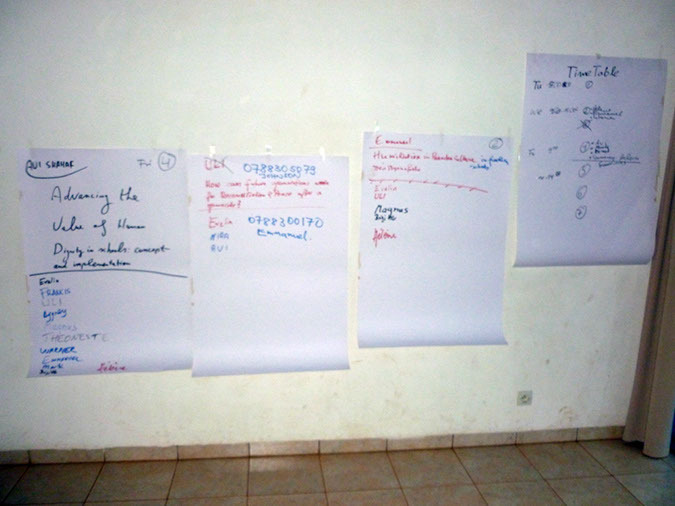 To provide various ideas, thinking, techniques, solutions toward the problem of genocide to improve humanity among people to different nations. This means the state of being well humanity, physically, socially, and mentally, respecting human being appearance. Is leadership the route to gain dignity? Firstly networking, know more about who is worth of respect in relation to dignity, who should receive ethical treatment, gaining dignity and society correlation. We shouldn't stand in the society demanding the dignity when our selves have not fulfilled what it takes to be dignity recognized. I take it as value and respect of one's self. My work as a scholar, we should create an environment guided by discipline, vision and passion, hence backing our dignity. 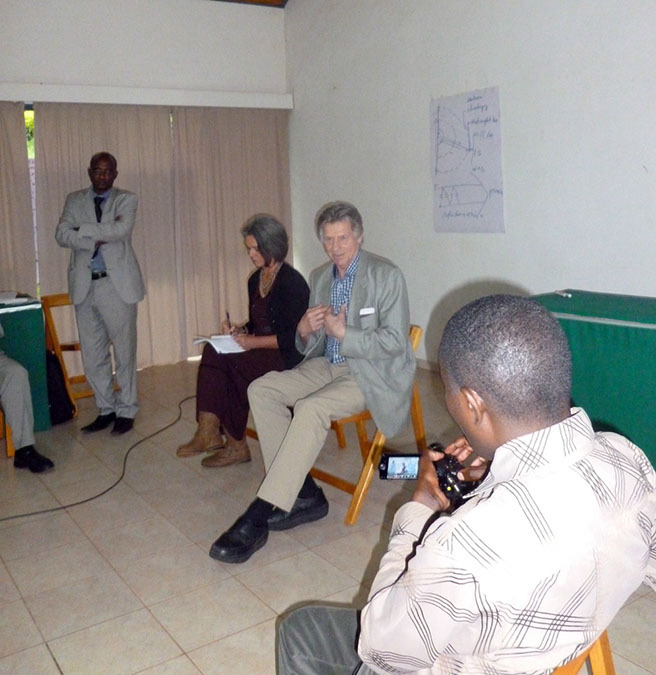 Information and experience sharing on peacebuilding. My experiences on reconciliation process. 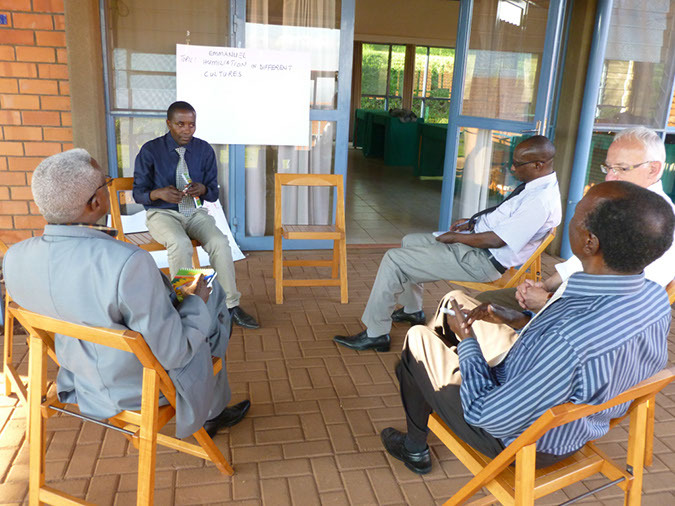 To know in depth how Human Dignity can be taken into consideration in Africa. To invite all Africans to follow the good achievement of African Human Dignity heroes. Respect of others as moral values of human society. Connaître l'expérience des autres participants sur la dignité. Partager avec les autres les idées pour développer les valeurs morales humaines. La dignité pour moi signifie être soi même et lutter pour devenier meilleure on respectant les valeurs morales humaines. 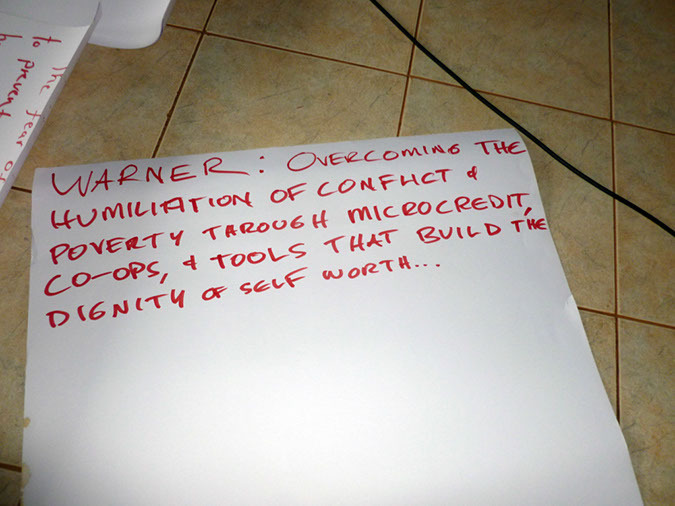 - Peace and Conflict Resolution. Share experience on what others are doing. Be honest to myself, to others and to Humanity. Women's empowerment, economic development, micro-finance. Learn how others are working to increase people's dignity, build self-reliance, and strategies that work. Share some insights and experiences that help the poor overcome humiliation and foster self-worth and dignity. It means a person's sense of self-worth, having capacity, and degree of social capital. He sent the following message (2nd October 2014): 'There is so much to learn from the people of Rwanda about how to restore dignity. Looking forward to a gathering of people of vision and wisdom in Kigali'.  Dr. Dheeraj Mehrotra wrote on 20th February 2015: 'I am excited to be the part of the session on 'Human Values via the Essence of Technology'. I look forward to attending and sharing my deliberation on the same towards 'Quality Literacy for All' initiative'.  Zehlia Babaci-Wilhite: Giving Space to African Voices: Rights in Local Languages and Local Curriculum. Rotterdam, The Netherlands: Sense, 2014, edited by Zehlia Babaci-Wilhite. 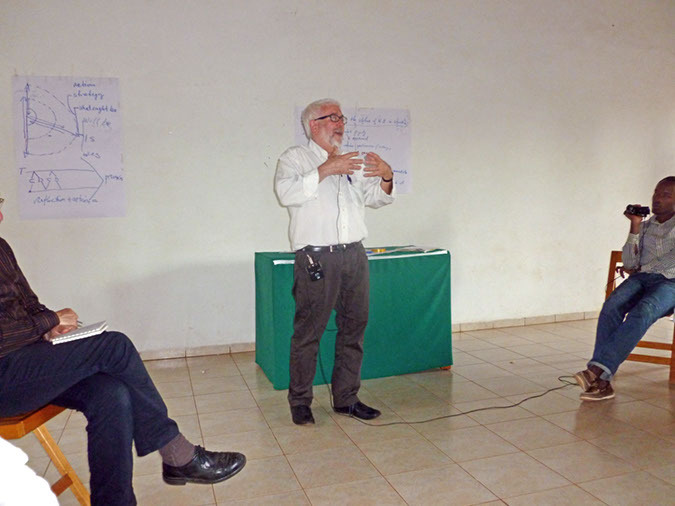 The plan was that Dan talks via video connection from Brazil on the Arts-based Pedagogical Work in the Amazonian North of Brazil that he and his partner Mano Souza conduct in Brazil. Daniel Baron is a playwright, community-based arts-educator and cultural activist, presently living and working in Marabá, in the Amazonian state of Pará, northern Brazil. He studied English Literature at Oxford University where he did doctoral research into theatre as popular education. After a decade of community theatre and mural collaborations dedicated to conflict transformation and social justice with excluded communities in Manchester (Northern England) and Derry (North of Ireland), in 1994 Dan accepted a permanent post in theatre and popular education at the University of Glamorgan, in Wales. 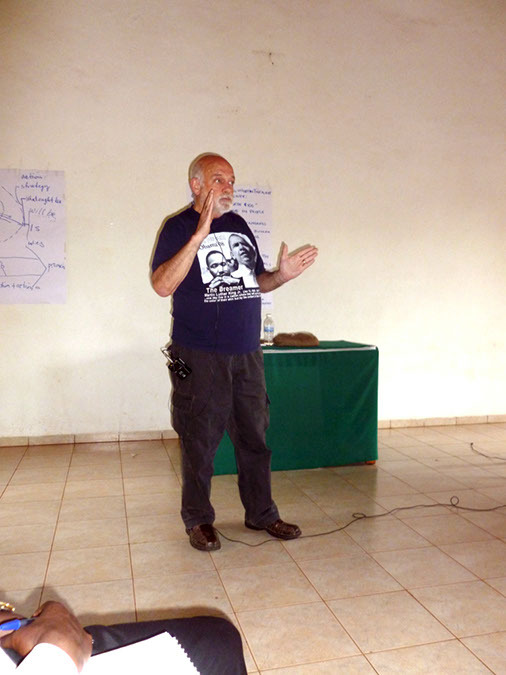 He left Wales in 1998 to collaborate as a Visiting Professor at the State University of Santa Catarina and has been collaborating with communities within the Landless, Indigenous, Trade Union and University movements of Brazil ever since. 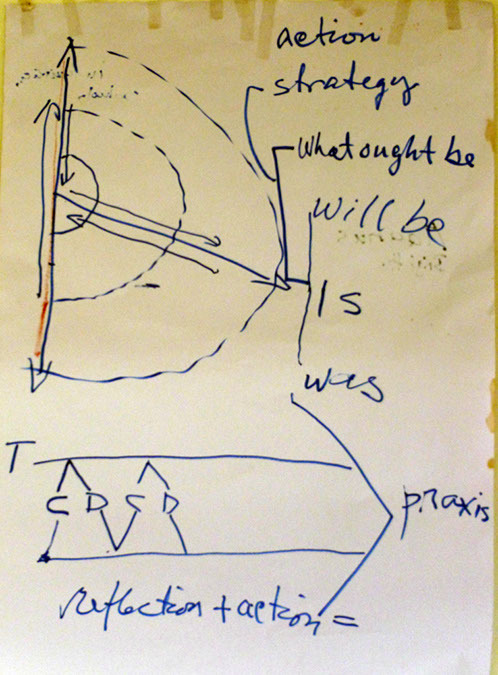 His Pedagogy of Transformance emerged through these collaborations and dialogues with other cultural movements in Asia, Africa, Latin America and Europe. Two national awards in 2008 and 2010 from the Ministry of Culture and a national UNICEF award in 2011 allowed Dan to accept an invitation to live and collaborate with the Afro-Indigenous community of Cabelo Seco ('dry hair'), founding community of the city of Marabá, in the quest to develop sustainable communities through living popular culture. 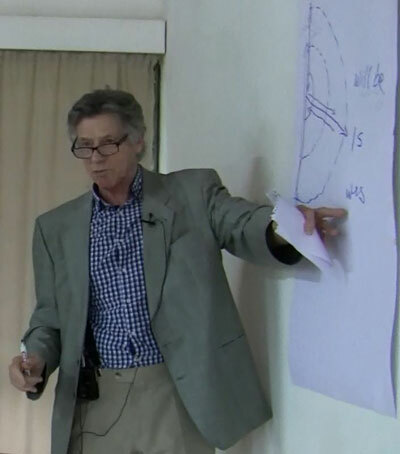 Michael Britton wrote (25 feb 2014): Dearest Evelin, I wish to send to you and Kjell and everyone involved in making this conference my very best wishes, and my deepest desire to be there with you all on what will be such a deeply moving, life-informing experience. If there are any parts of it that can be videotaped, I am starting a public-access video program here in my home town to share things from other parts of the world that explain the world with deeper understanding and respect, so it would be wonderful to share whatever might be appropriate. This conference comes at a time when I am reading The Art of Not Being Governed: An Anarchist History of Upland Southeast Asia by James C. Scott. In it he paints a picture of lowland civilizations/states developing in interaction with peoples living in the mountains and fleeing the states into the mountains, organizing their lives in such a way as to be beyond the power of the lowland states to incorporate them. He views this as a worldwide phenomenon, a dialectic of civilizations/states and places in which those who want no part of that enterprise preserve their own lives by living in the mountains, in the marshes, in a variety of 'difficult' geographies that in the past made them beyond the reach of the states. Yet now, today, the 'modern' states and corporations press everywhere to finish off the job of making everyone and every place part of their controlled domain. • The gender inequality and ingrained traditions of family violence, male dominance, etc. 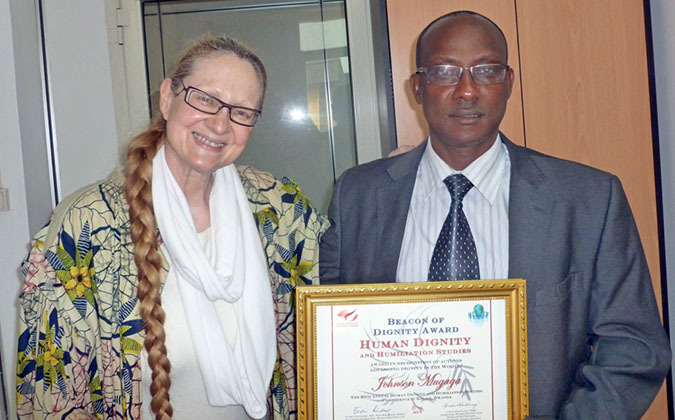 Dignilogue at the 25th Annual Conference of Human Dignity and Humiliation Studies 'A Life of Dignity for All', in Kigali, Rwanda, 5th - 8th June 2015. 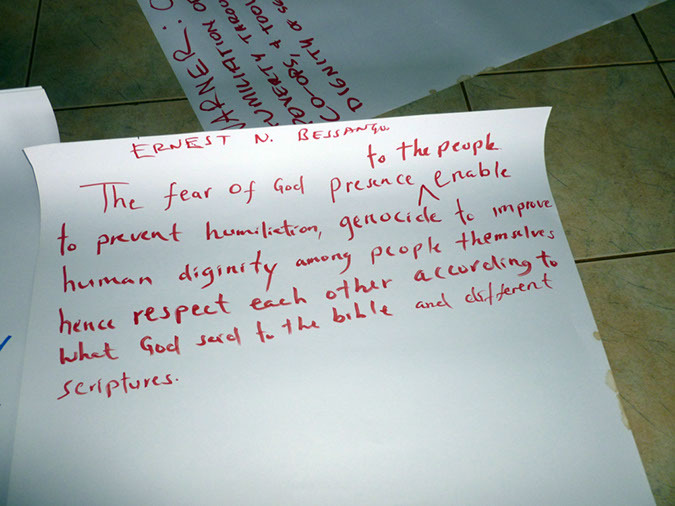 Abstract shared at the 25th Annual Conference of Human Dignity and Humiliation Studies 'A Life of Dignity for All', in Kigali, Rwanda, 5th - 8th June 2015. • "How a Nation Reconciles After Genocide Killed Nearly a Million People," by Megan Specia, New York Times, 25th April 2017. We thank Linda Hartling for making us aware of this article! Republic of Rwanda, Senate, 10th February 2015. 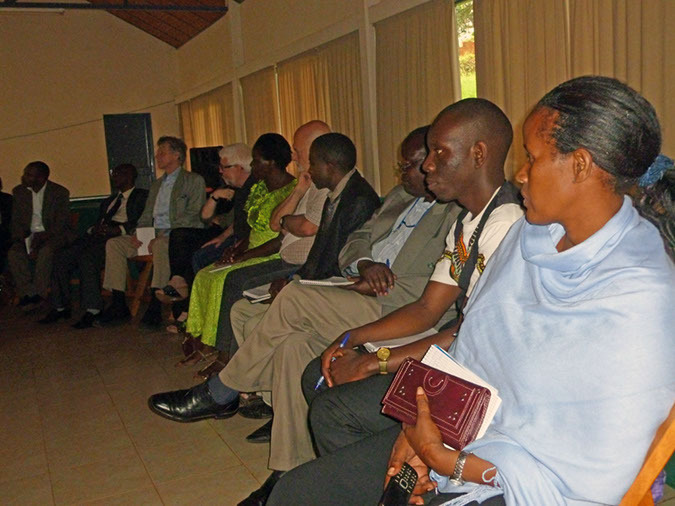 • Kwibuka means ‘remember’ in Kinyarwanda, Rwanda’s language. 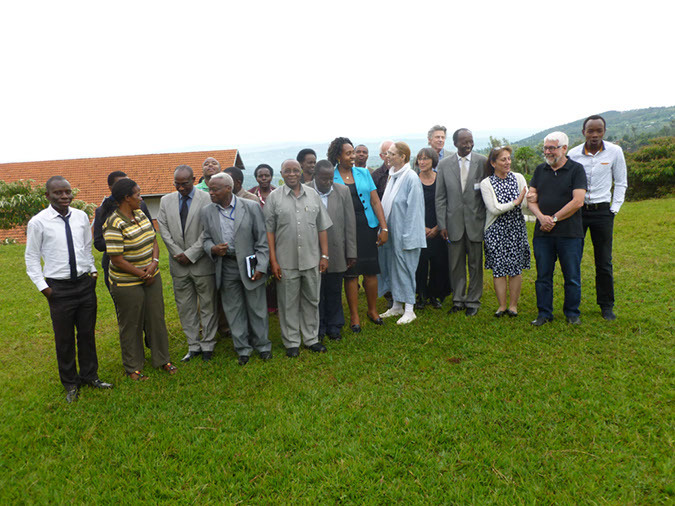 It describes the annual commemoration of the 1994 Genocide against the Tutsi. 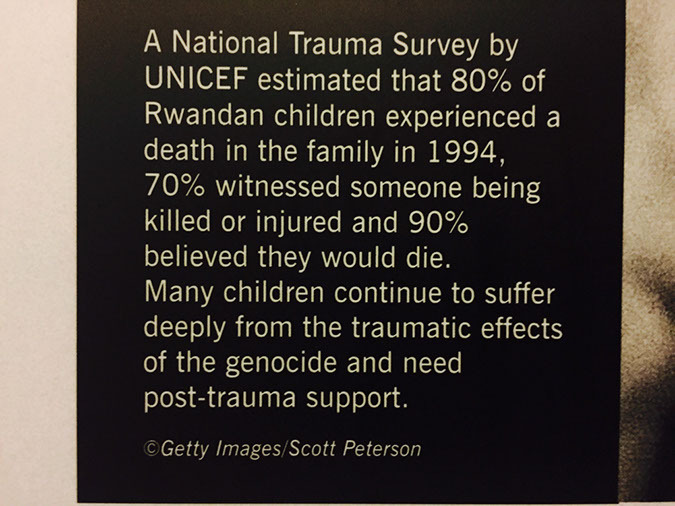 More than one million Rwandans died in the hundred days of the genocide. It was one of human history’s darkest times. 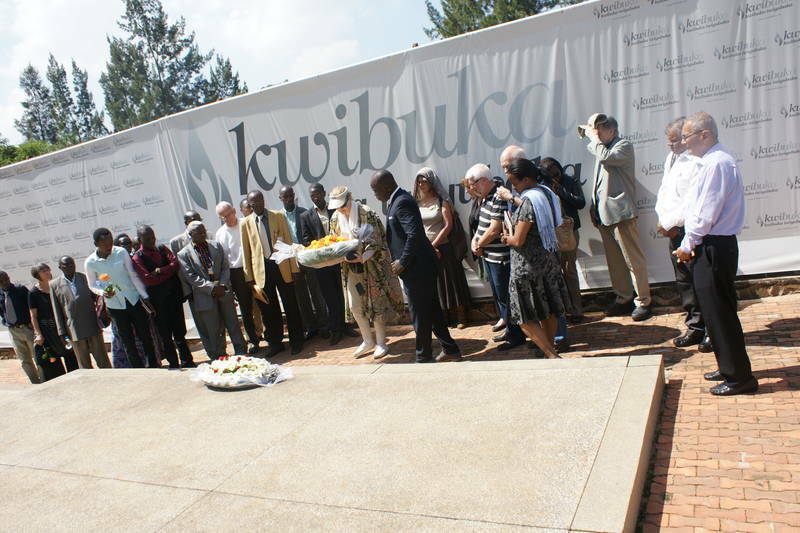 Twenty years later we, Rwanda, ask the world to unite to remember the lives that were lost. 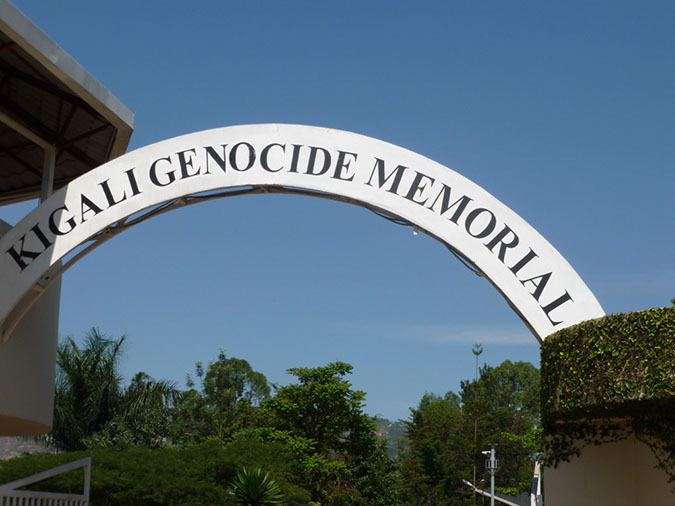 We ask the world to come together to support the survivors of the genocide, and to ensure that such an atrocity can never happen again – in Rwanda or elsewhere. 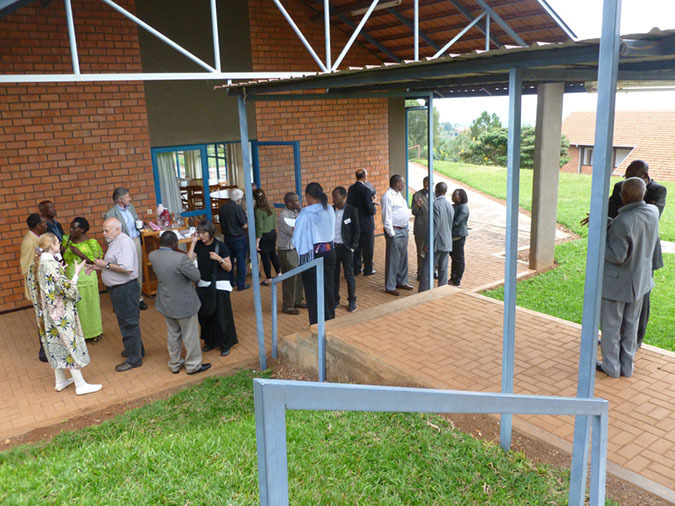 Kwibuka21 is a series of events taking place in Rwanda and around the world. 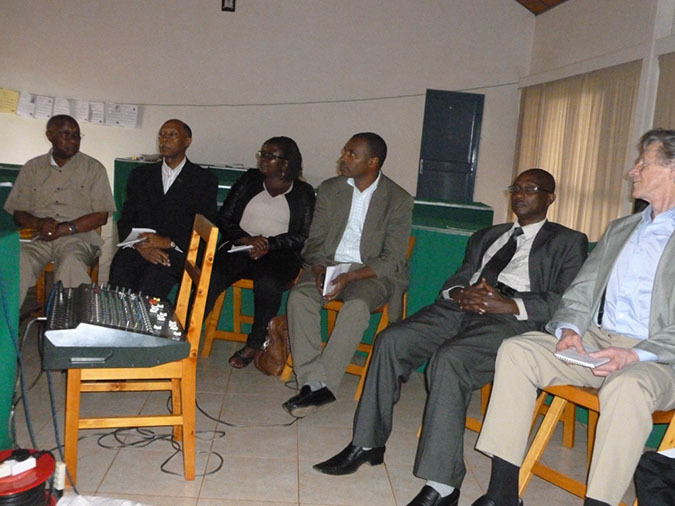 These events lead up to the national commemoration of the genocide in Rwanda, which begins on 7 April 2015. The genocide began on 7 April 1994. 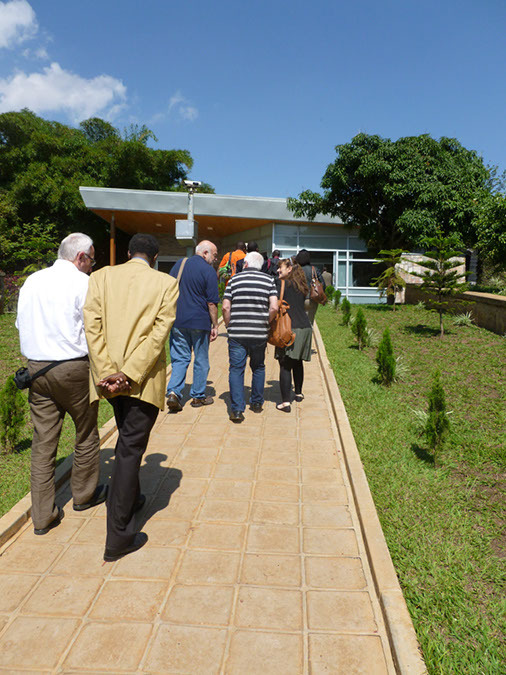 Kwibuka21 is also a time to learn about Rwanda’s story of reconciliation and nation building. • Never Again Rwanda is a human rights and peacebuilding organization that was founded in response to the 1994 genocide perpetrated against Tutsi. Guided by a vision of a nation where citizens are agents of positive change and work together towards sustainable peace and development, we aim to empower Rwandans with opportunities to become active citizens through peacebuilding and development. 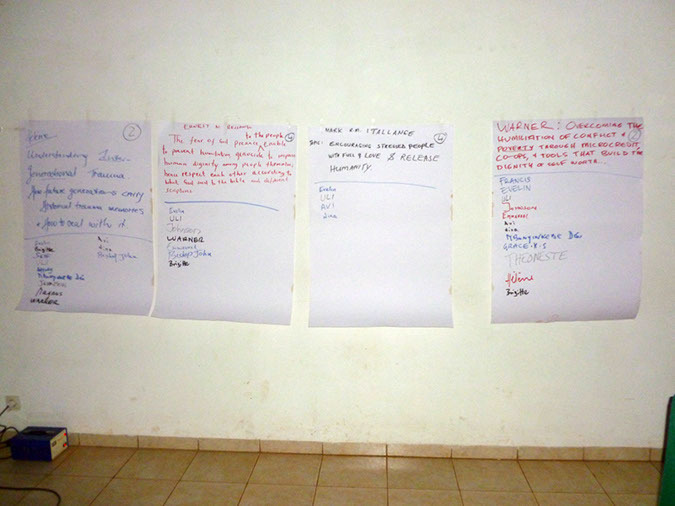 Never Again Rwanda places a particular emphasis on the youth as the future of a peaceful society. • 'Reflecting on Rwanda, Ban Urges Courage ‘to Counter the Cruelty Taking Place Before Our Eyes’', United Nations News Centre, April 7, 2015. • International Day of Happiness: Are You Enjoying Peace, Prosperity, and a Life of Dignity? 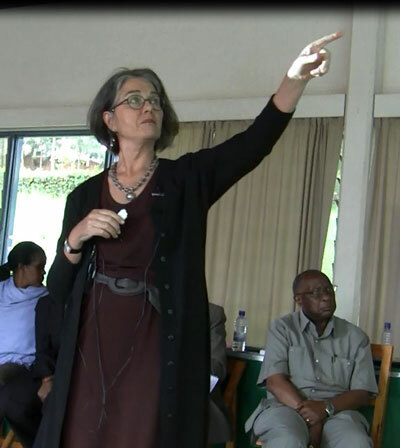 • Karen Stornelli, the National Director for Training and Development of ATD (All Together in Dignity) Fourth World, kindly informed us on 26th February 2015 of two groups of the Friends of ATD Fourth World in Rwanda, made up of very poor families, in the organisation APROJUMAP (Association pour la Promotion des Jumelages et de l’Amitié entre les Peuples, Association for the Promotion of Twinning and Friendship between Peoples) in the south of Rwanda. • 'South Africa's Shameful Past and Hopeful Future', by Sadie Dingfelder, Monitor on Psychology, April 2013, Vol 44, No. 4. Psychologist and anti-Apartheid activist Saths Cooper has dedicated his life to ensuring that psychology serves all of humanity, not just a powerful few. • Romain Murenzi (Rwanda) appointed to chair the United Nation's High-level Panel on Technology Bank for Least Developed Countries: 'Notes to correspondents Note to Correspondents on Secretary-General's High-Level Panel on Technology Bank for the Least Developed Countries', Secretary-General Ban Ki-moon, United Nations, New York, 26th November 2014. • 'Step One to Fighting Ebola? Start with Corruption', by Josh Ruxin, The New York Times, October 16, 2014. We thank Uli Spalthoff for making us aware of this article. • 'Maternity Protection: Maternity Leave: Women's Survival vs. Family Responsibilities in Rwanda', ILO News, Feature, Kigali, 22nd October 2014. 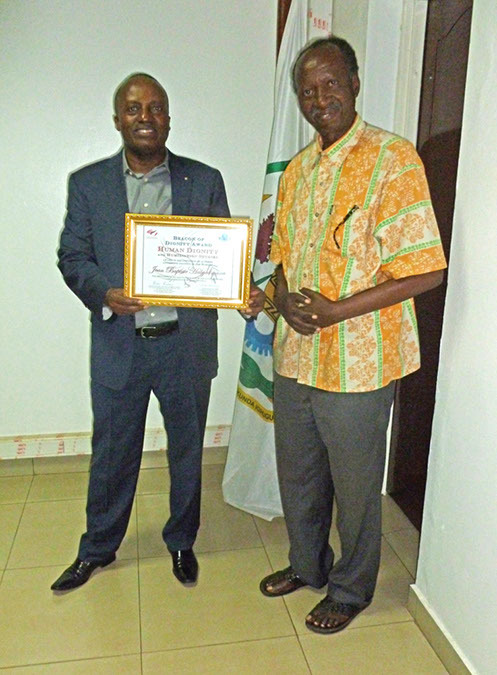 This article was awarded the 'Media for Labour Rights in Rwanda' Prize by the International Training Centre of the ILO (ITC-ILO), which is co-funded by the European Union. 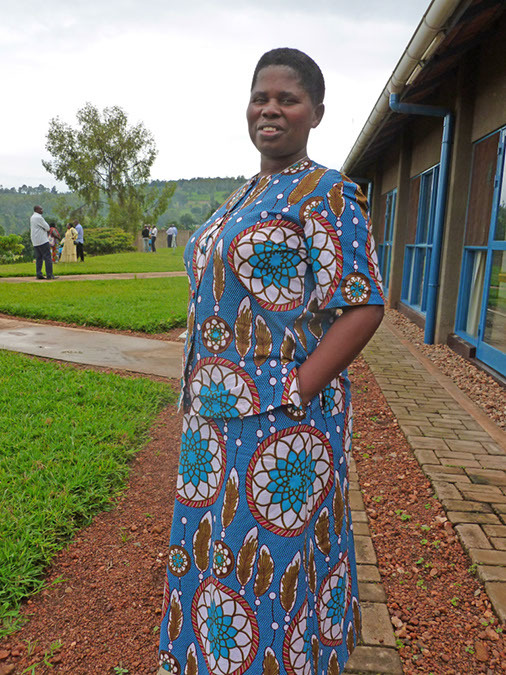 • 'I bought a mattress and health insurance' – Rural Rwandan Farmer, UN Women, Kigali, Rwanda, October 2014. 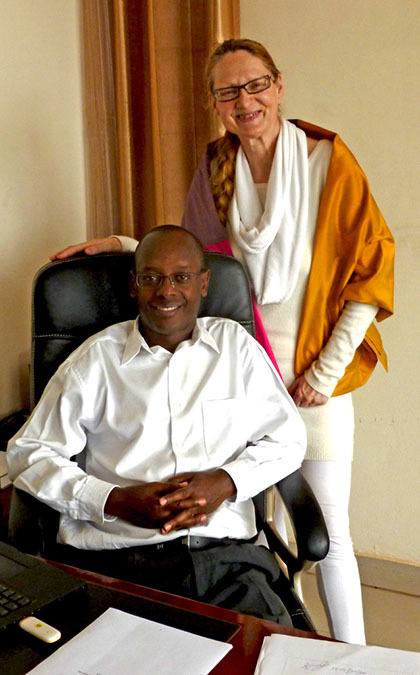 - Press Release: ATOP Meaningfulworld Humanitarian Healing, Peace-building, and Mind-Body-Eco-Spirit Mission to Africa: Kenya, Rwanda and Burundi Victoria Alexander, Leysa Cerswell, & Dr. Ani Kalayjian 27 June – 15 July. - Seeds of Hope, by Steven Shyaka Nyamata, Rwanda October 28, 2010. • 'Exhibiting Africans like animals in Norway's Human Zoo', by Bwesigye bwa Mwesigire, This is Africa, April 25, 2014. 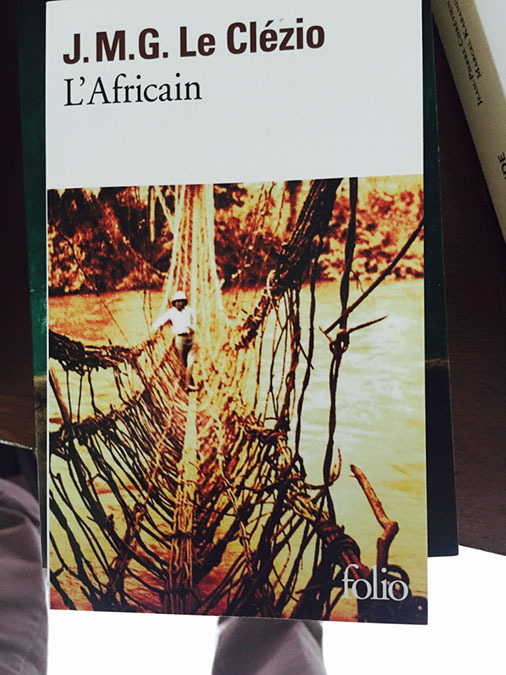 We thank Hélène Lewis for making us aware of this article. Next month in Norway a 'human zoo' will open, a re-enactment of the voyeurist exhibitions of Africans that took place during the colonial era. The organizers aim to spark discussions on the legacy of racism and colonialism, but have they overlooked the pain and humiliation this may bring to Africans worldwide, and the danger of the resurgence of racial stereotyping? 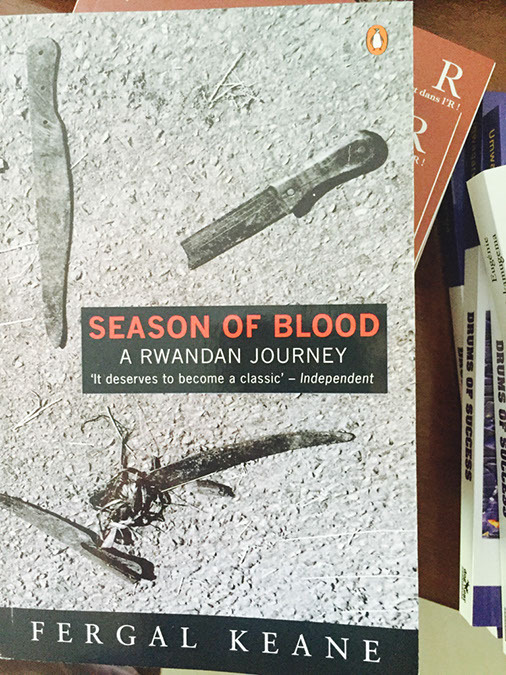 • A Good Man in Rwanda: Twenty years ago, Rwanda descended into the madness of genocide. UN peacekeepers were stretched to breaking point – but one stood out, taking huge risks to save hundreds of lives. By Mark Doyle, BBC, 3rd April 2014. • Portraits of Reconciliation: 20 Years After the Genocide in Rwanda, Reconciliation Still Happens One Encounter at a Time, Photographs By Pieter Hugo Text by Susan Dominus, New York Times, April 6, 2014. The Secretary-General's report on the MDGs and post-2015 goals - A life of dignity for all: accelerating progress towards the Millennium Development Goals and advancing the United Nations development agenda beyond 2015.